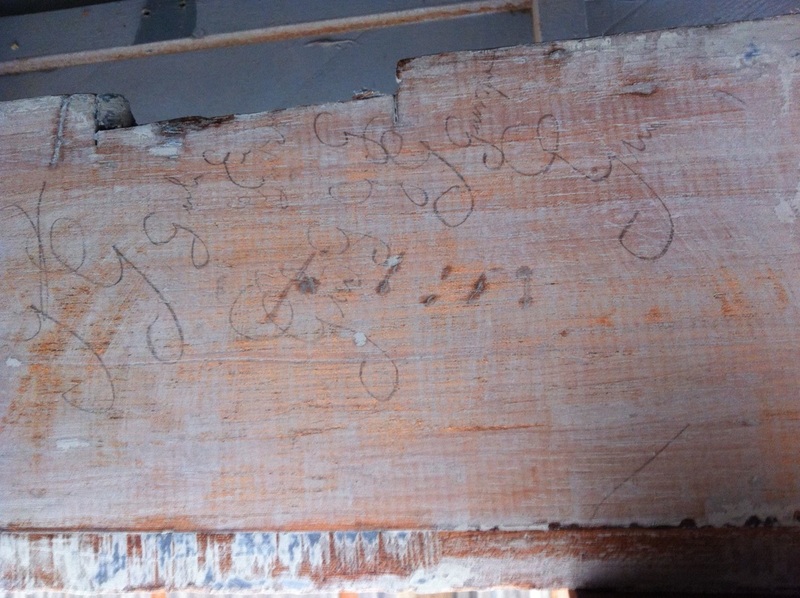 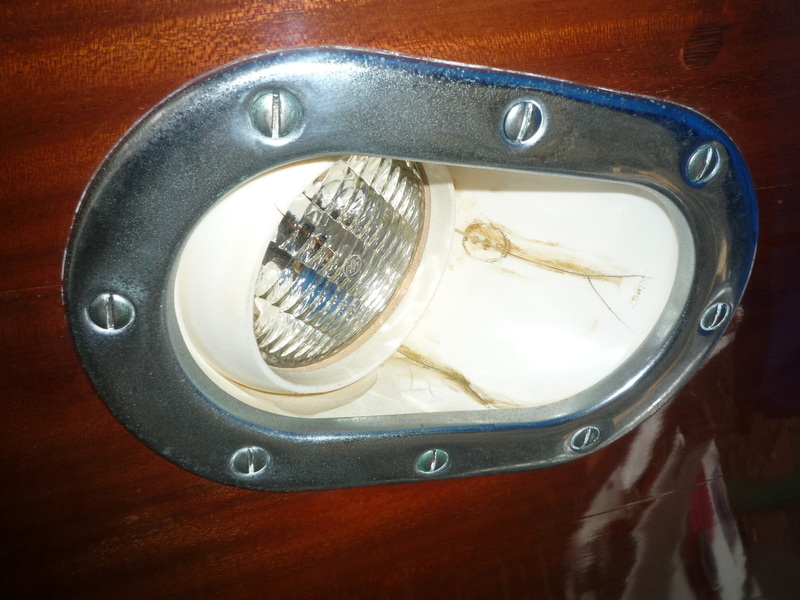 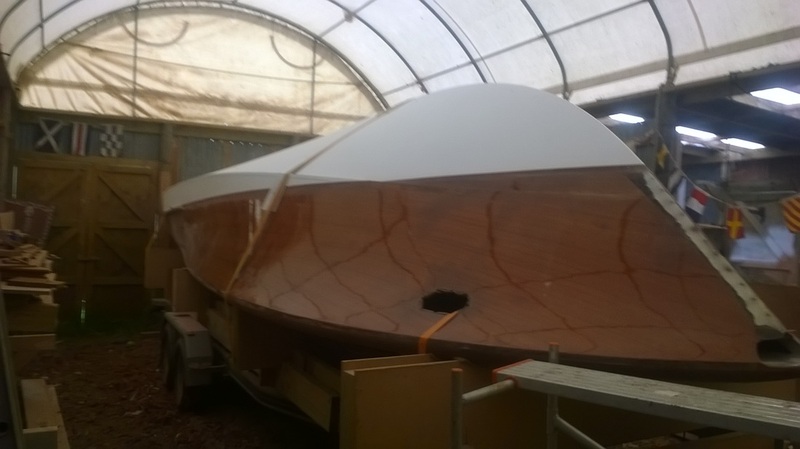 Barbarella - Hull - Trusted with classics by Logan, Bailey, Lane, Couldrey, Landis, Sparkman and Stephens, Herreshoff, Palin, Lidgard, Townson, Young and other designers. 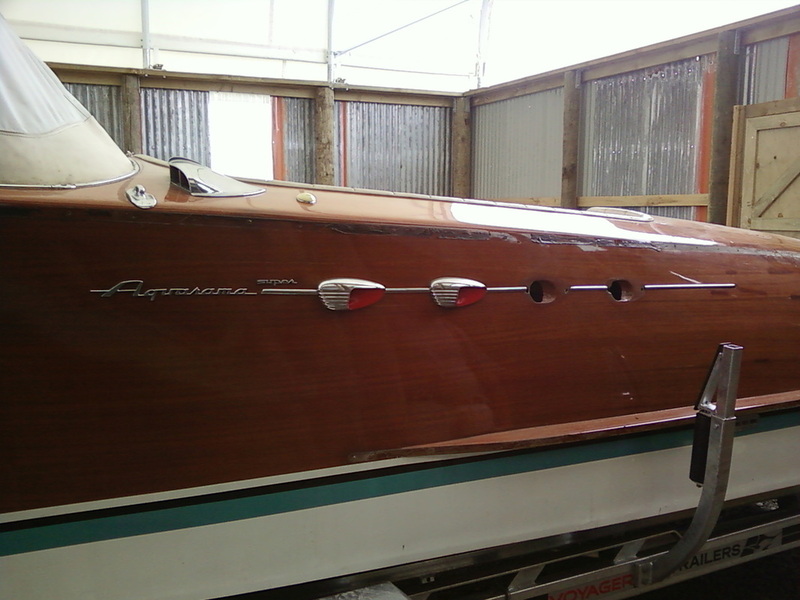 A 1969 built Riva Superaquarama from Hong Kong. 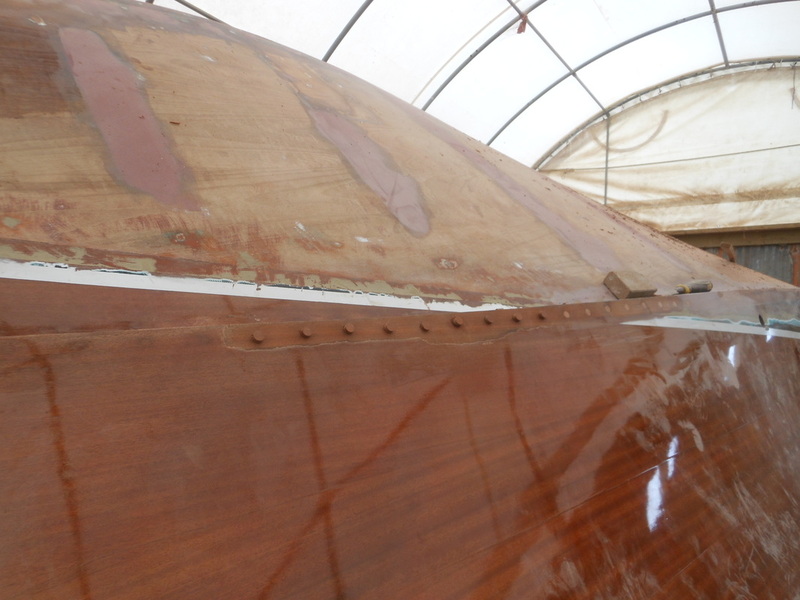 Sergey, where is the scarf on the keel? 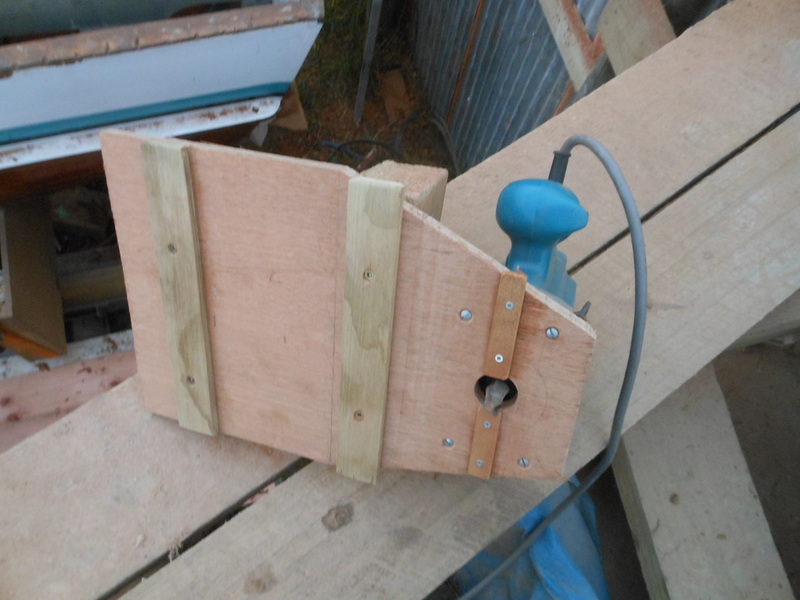 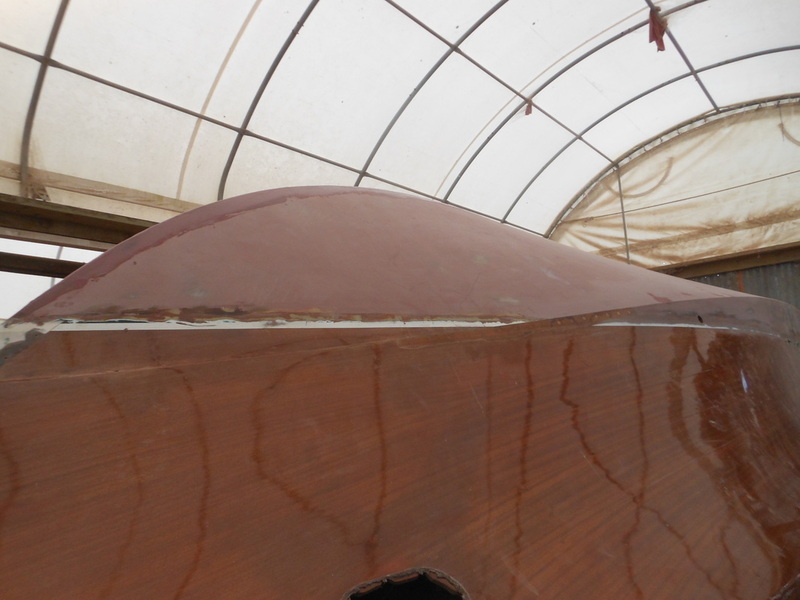 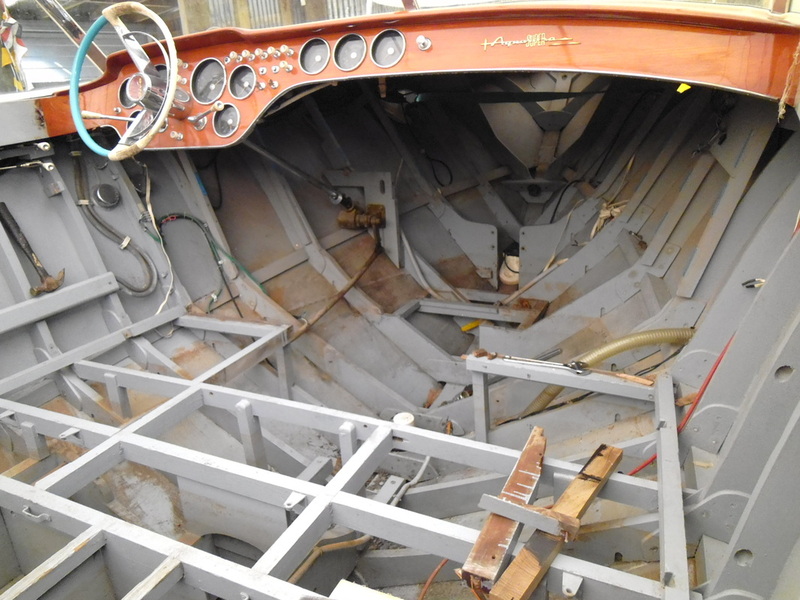 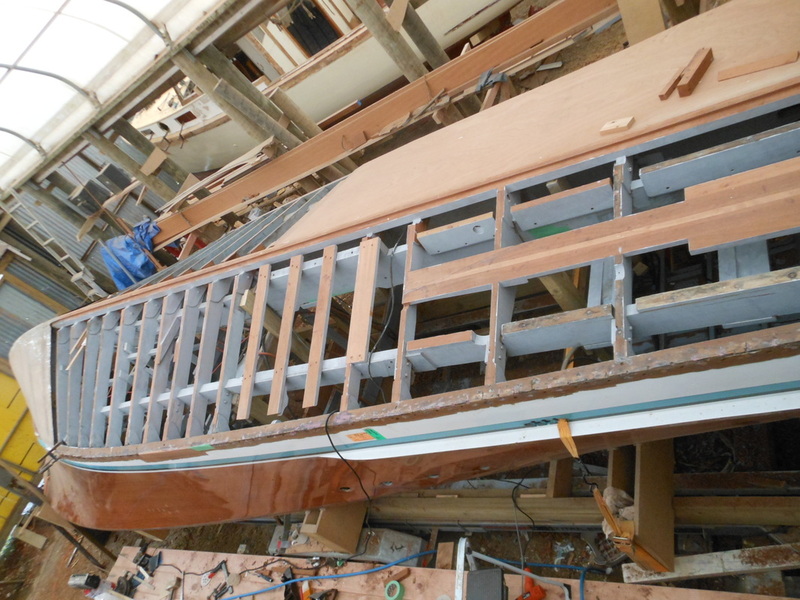 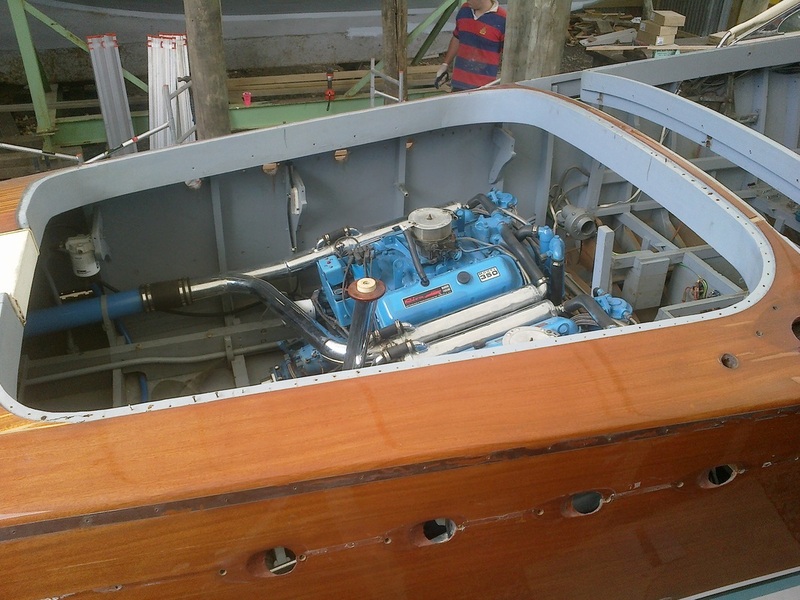 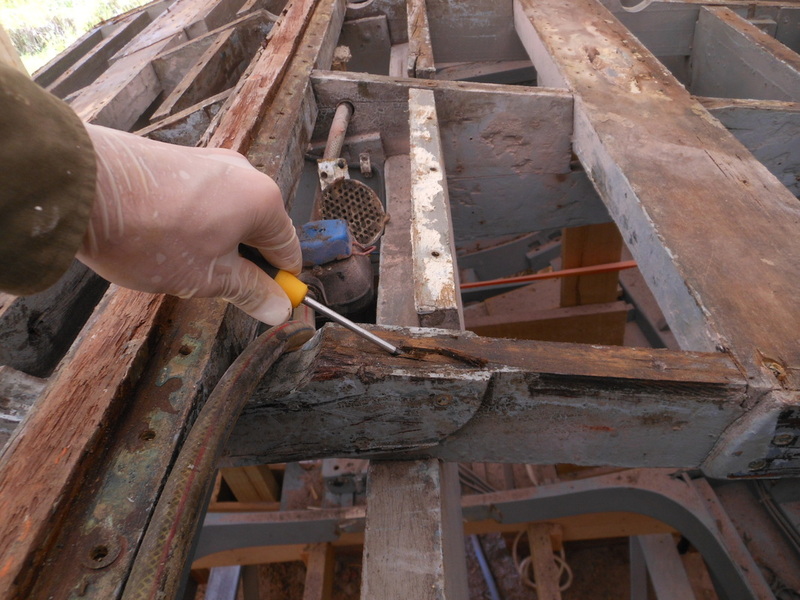 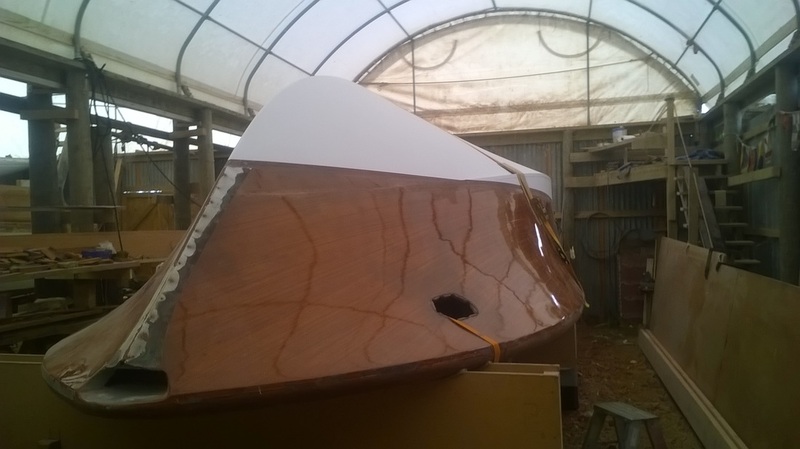 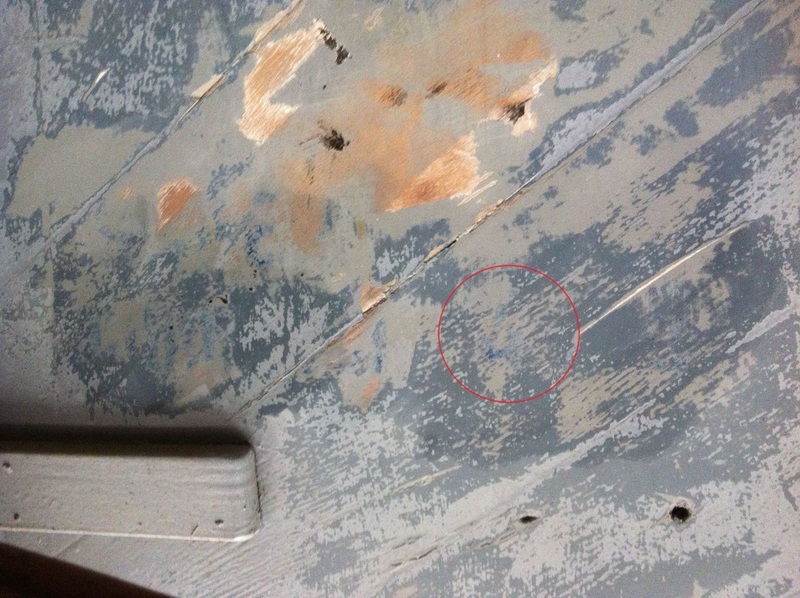 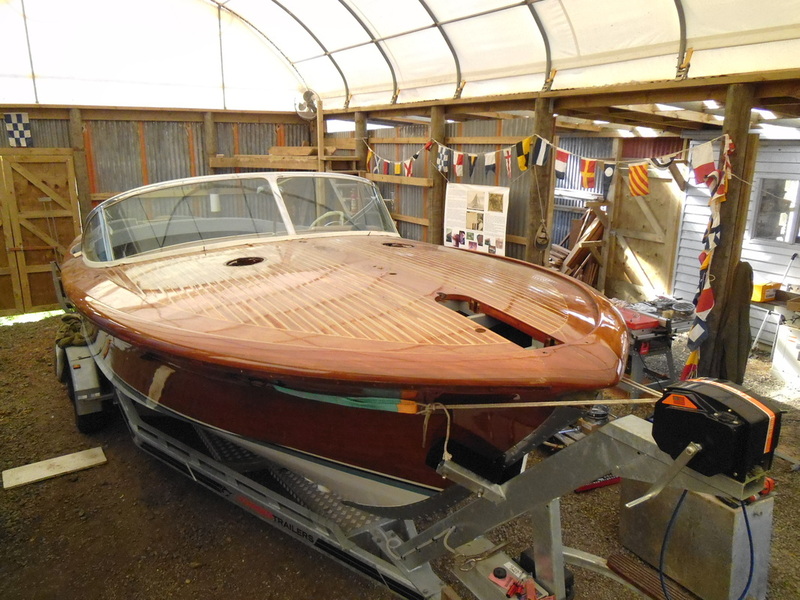 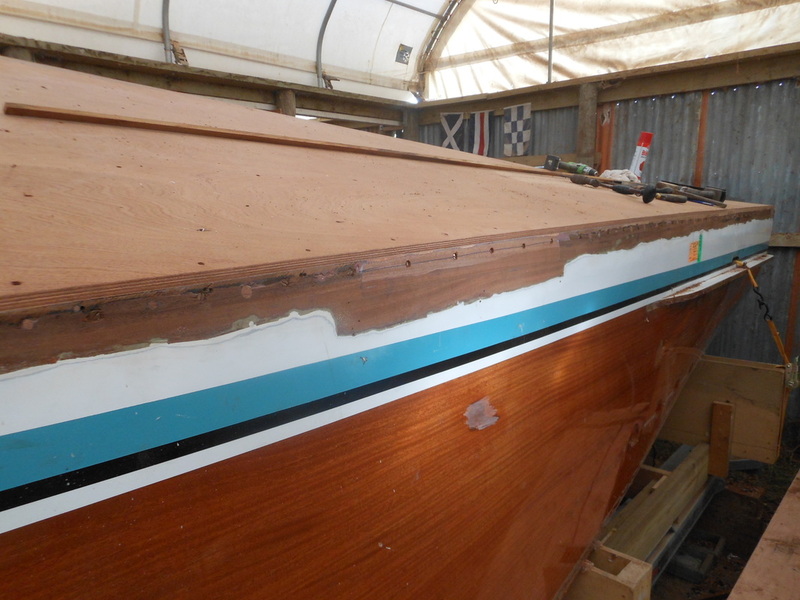 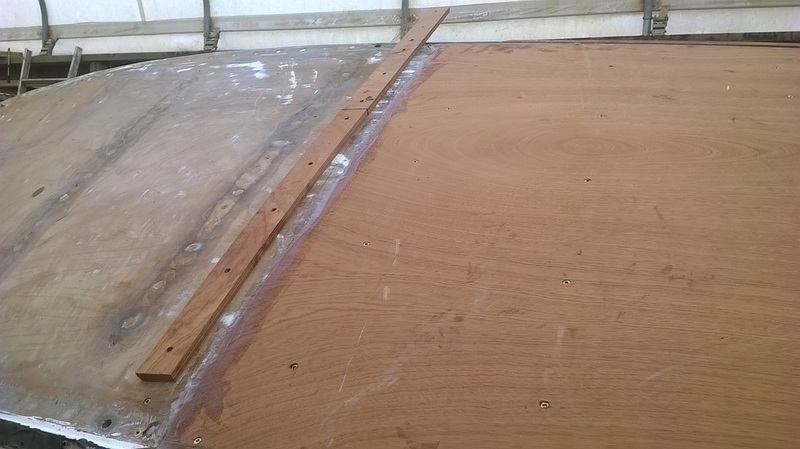 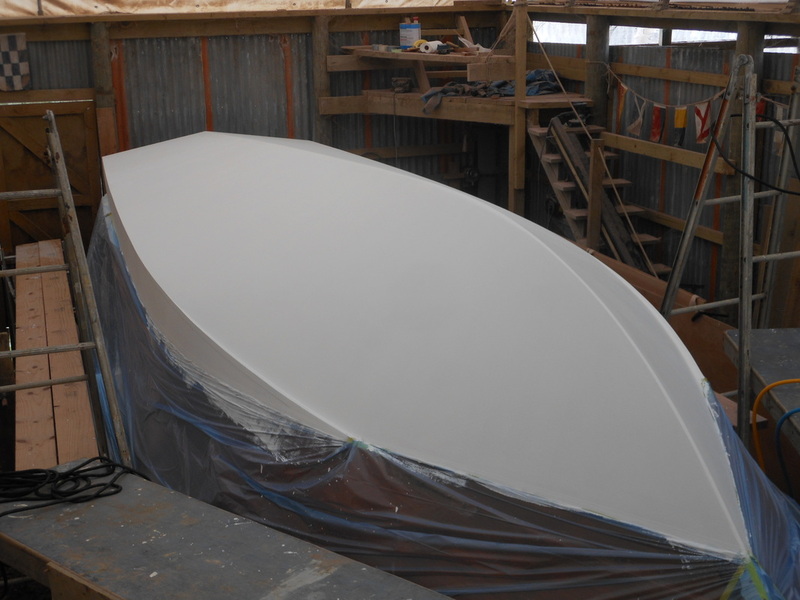 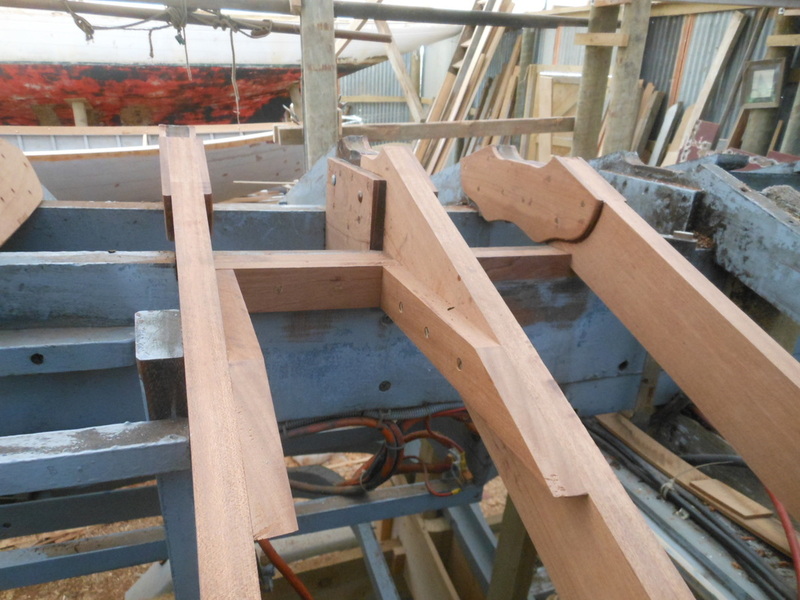 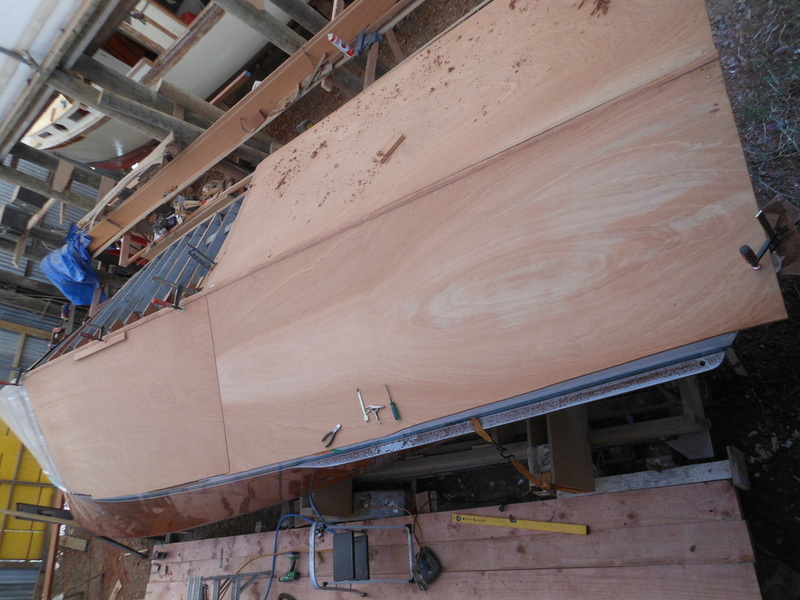 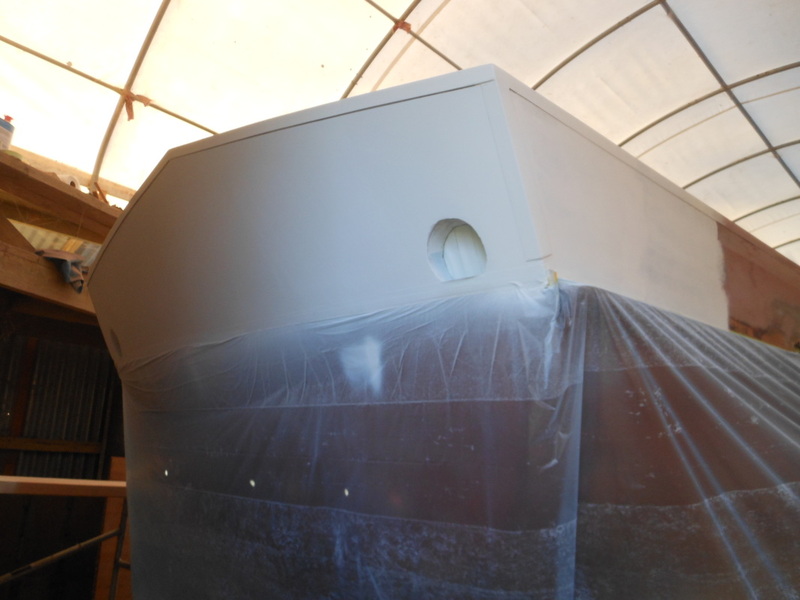 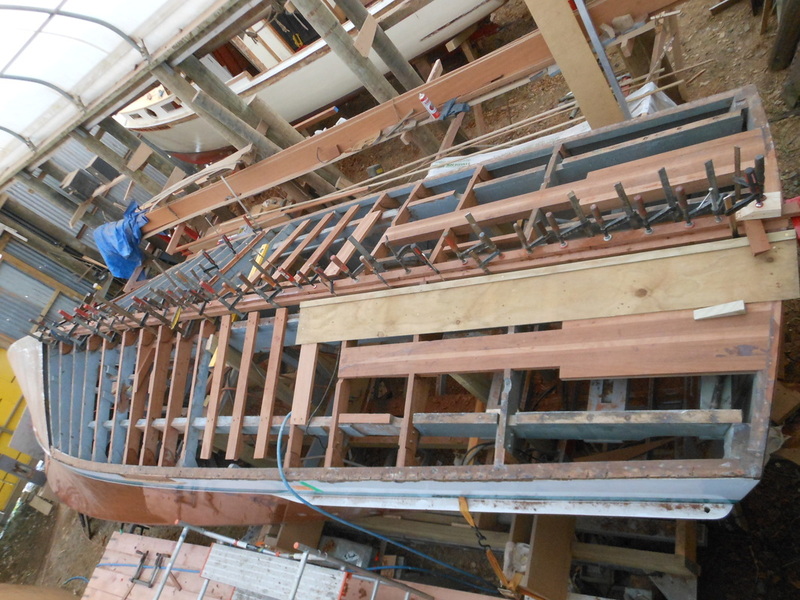 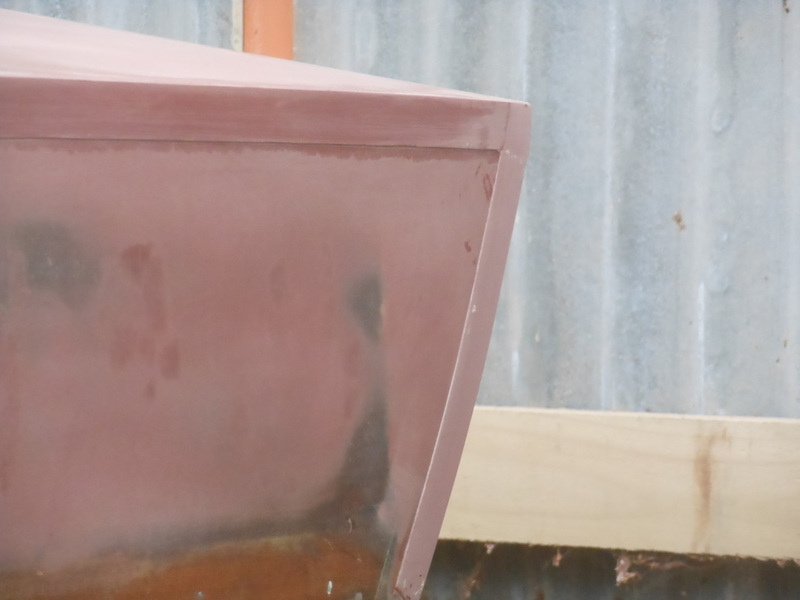 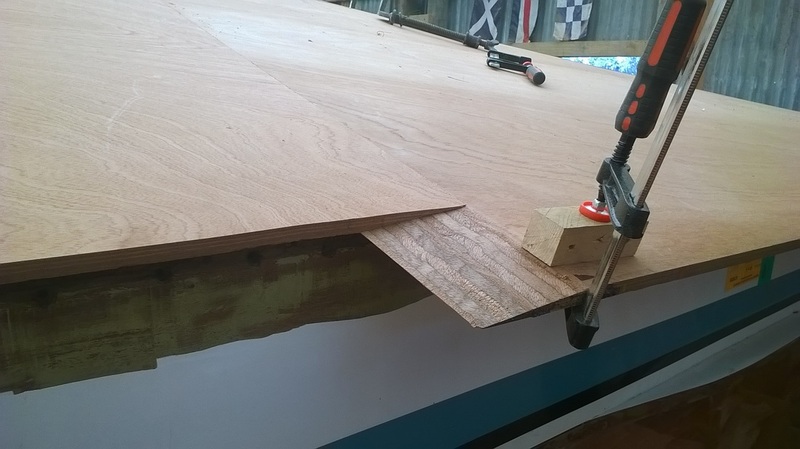 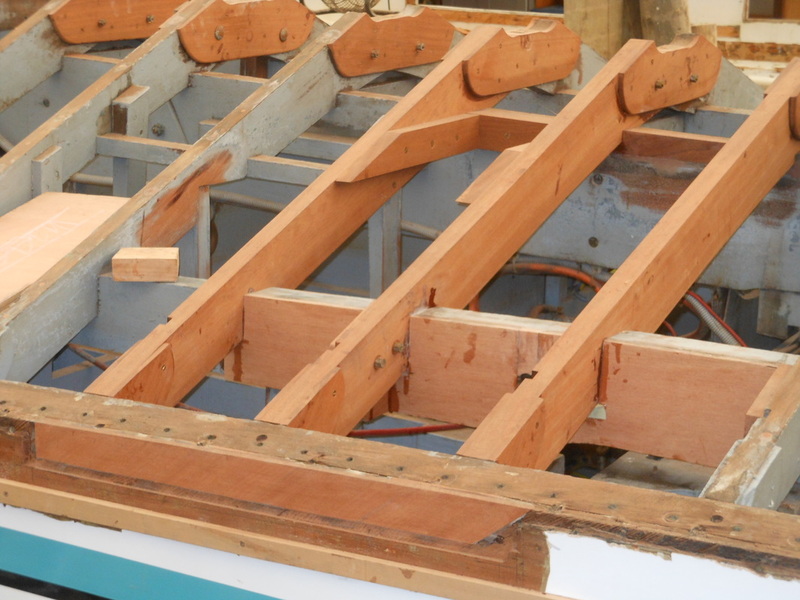 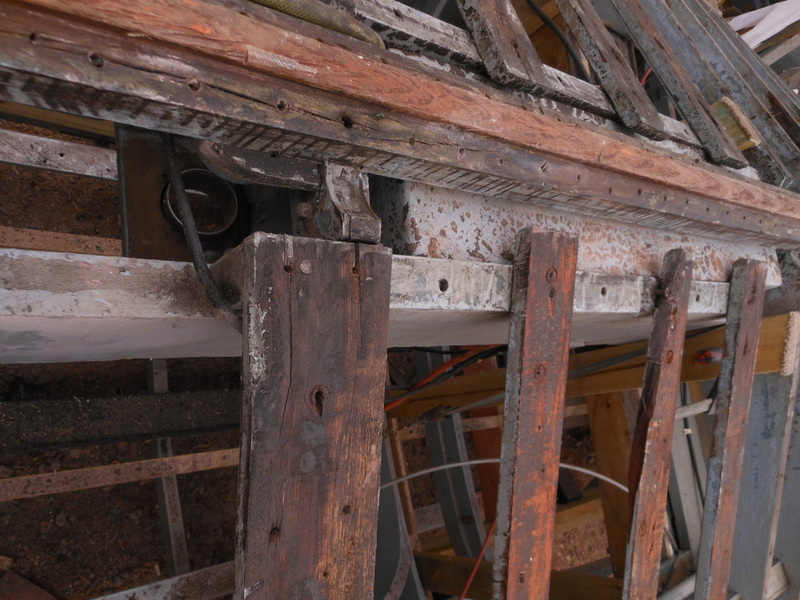 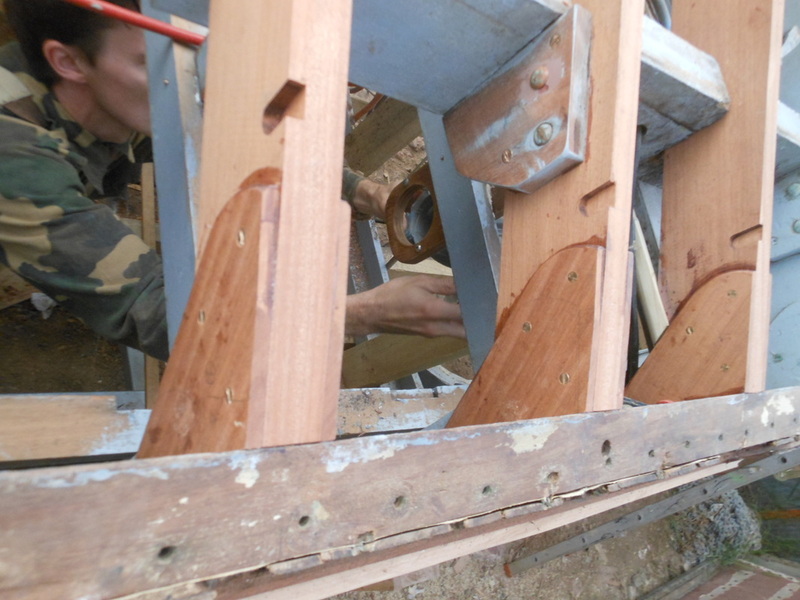 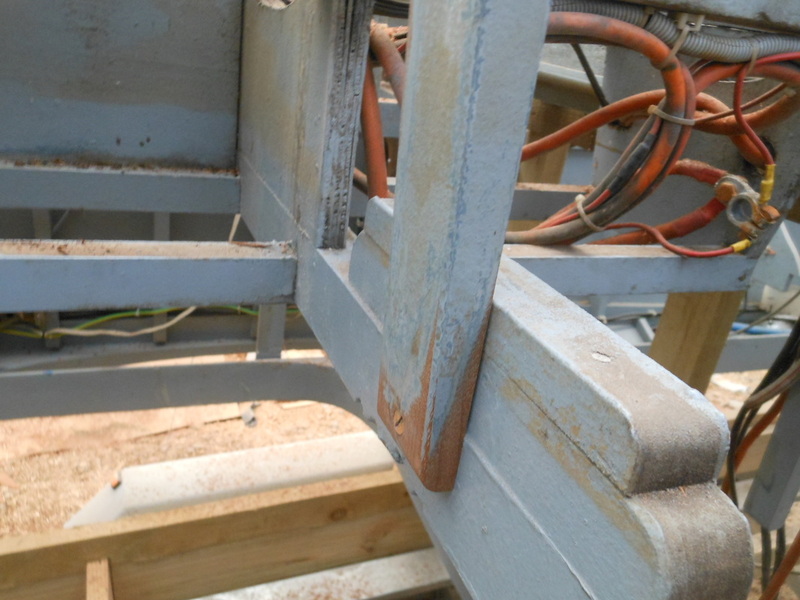 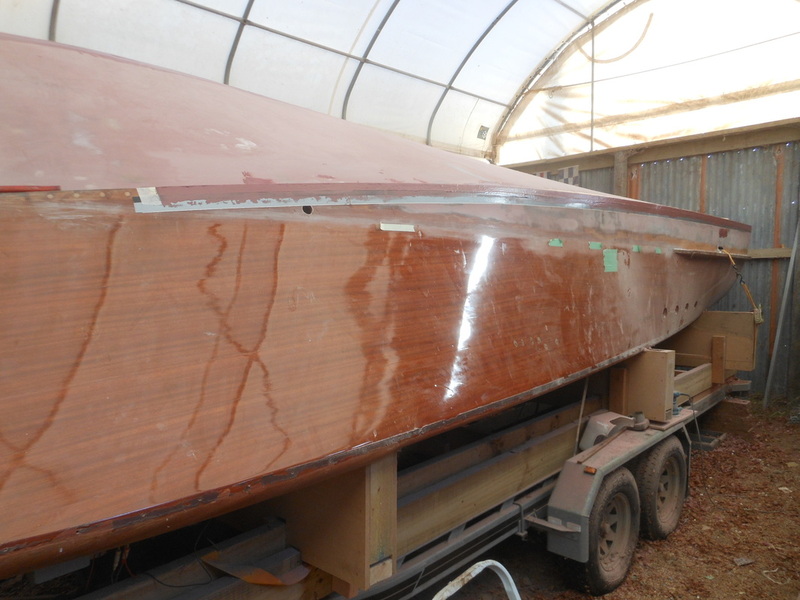 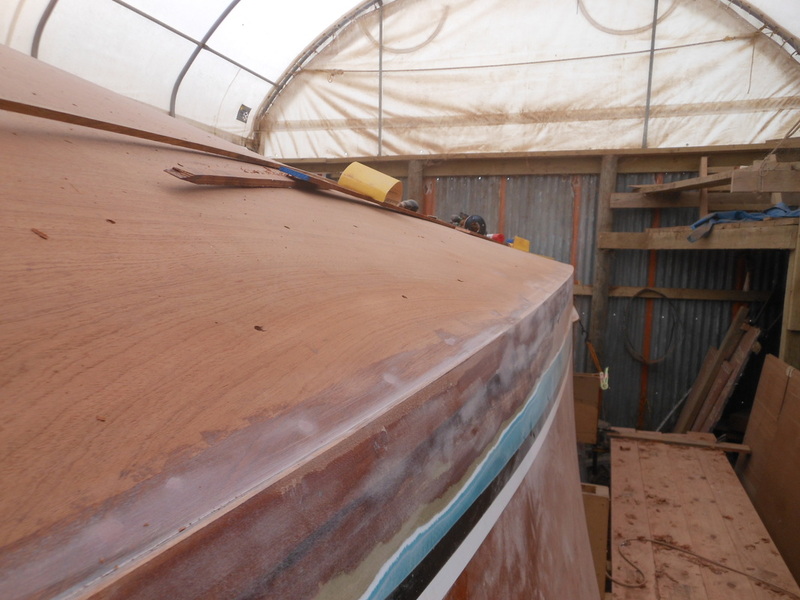 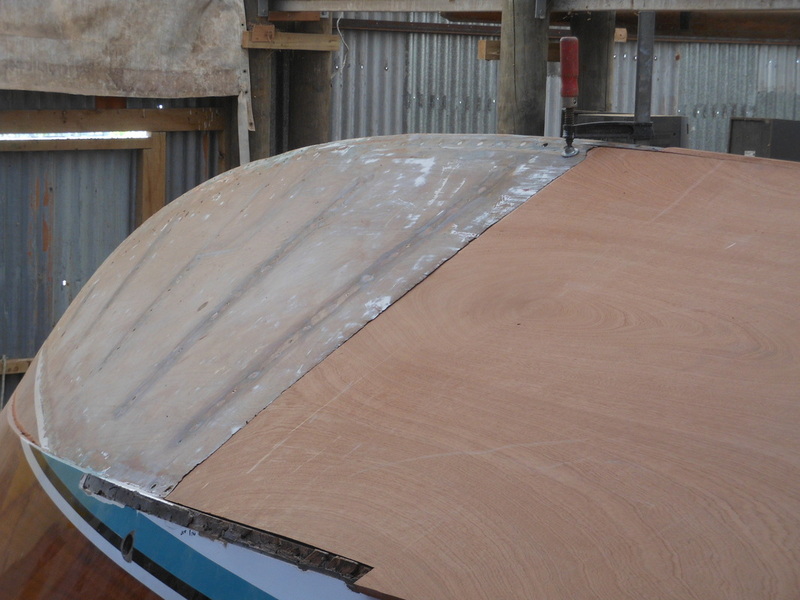 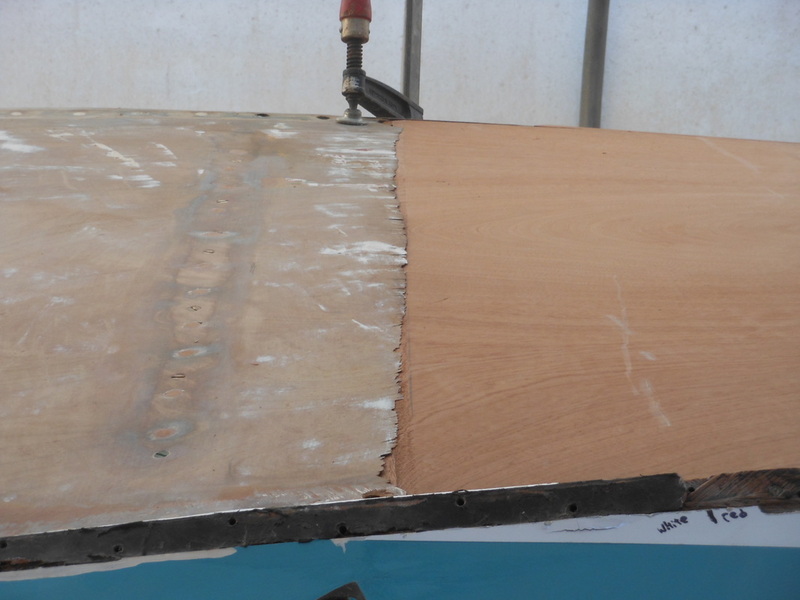 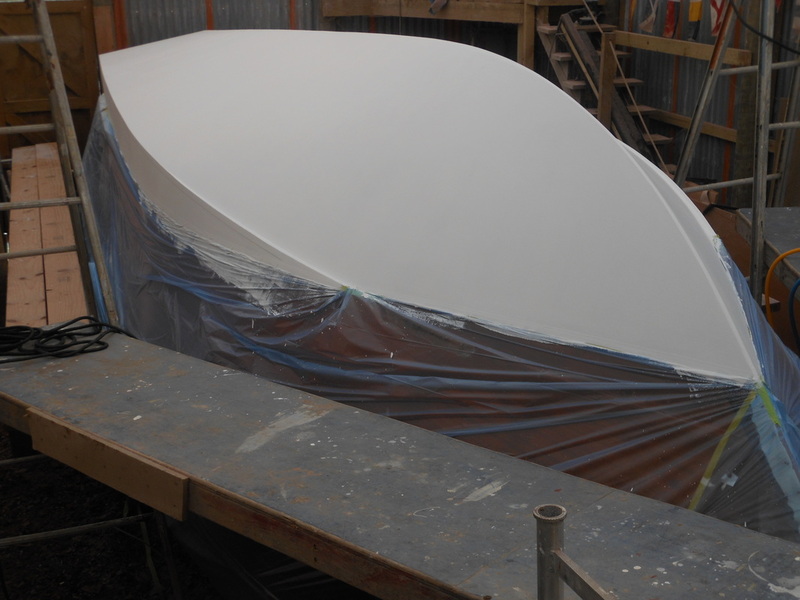 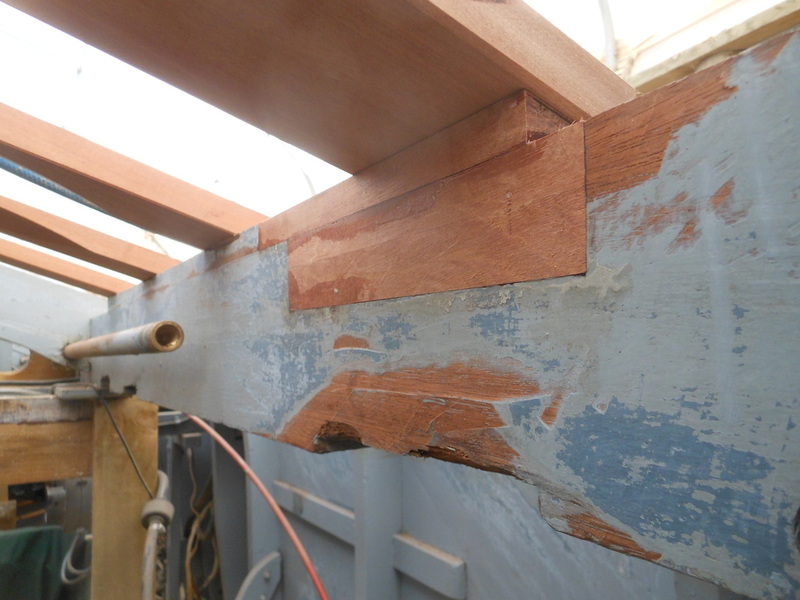 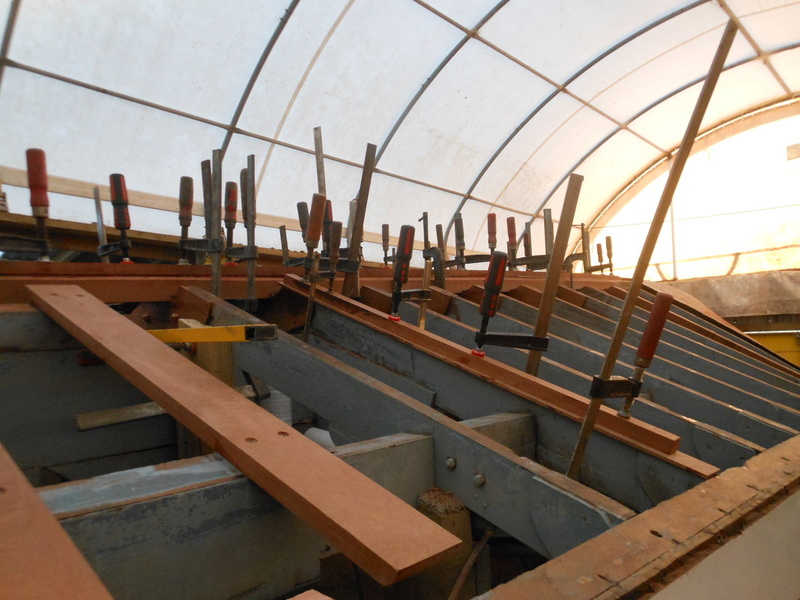 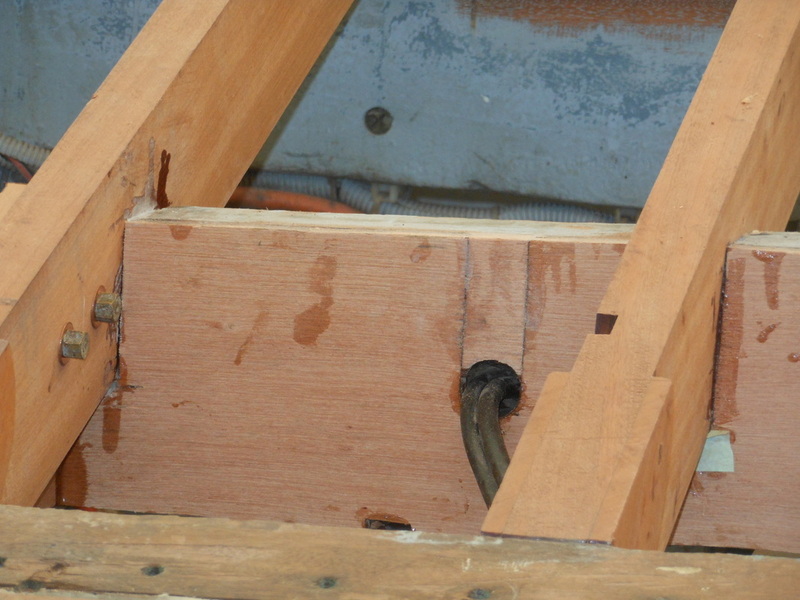 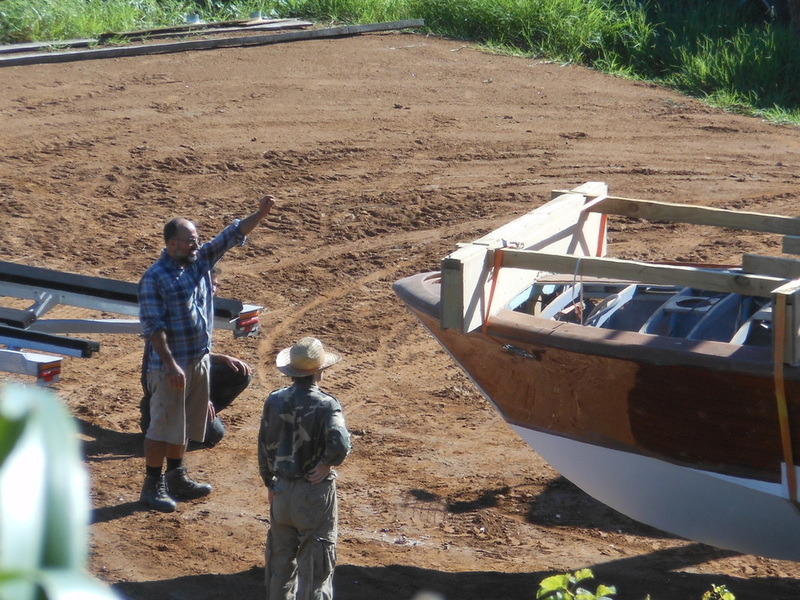 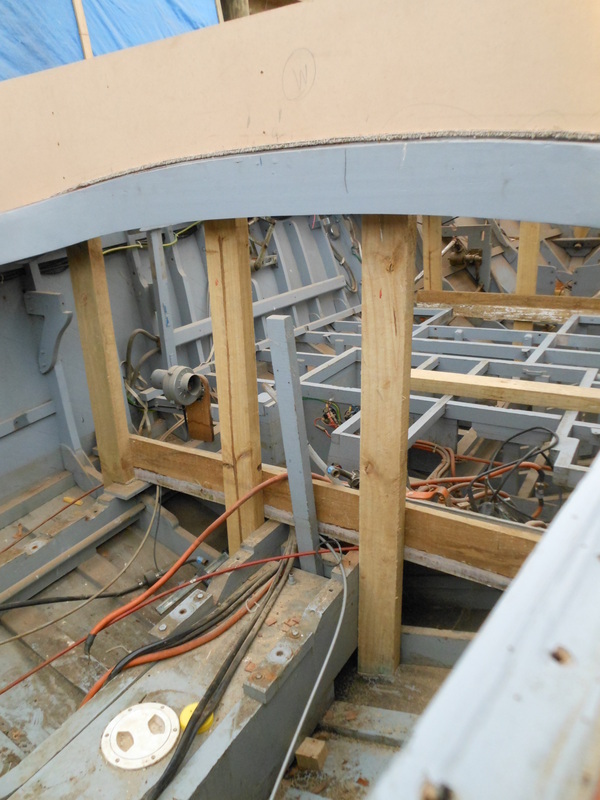 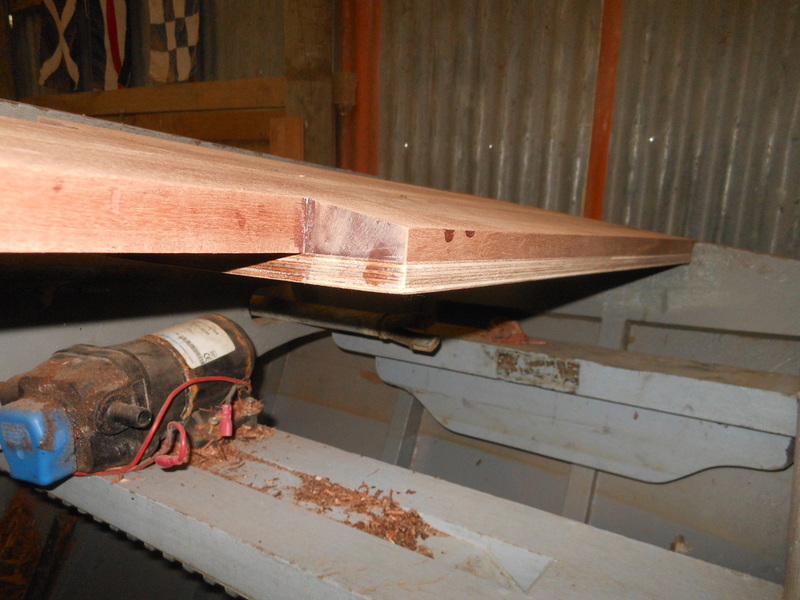 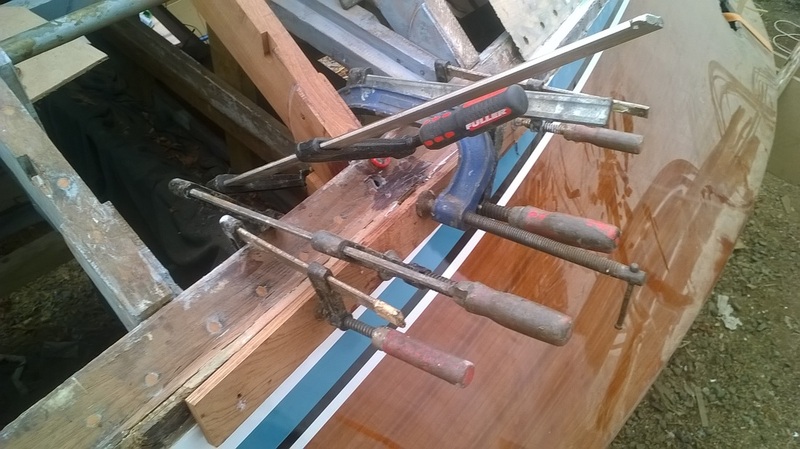 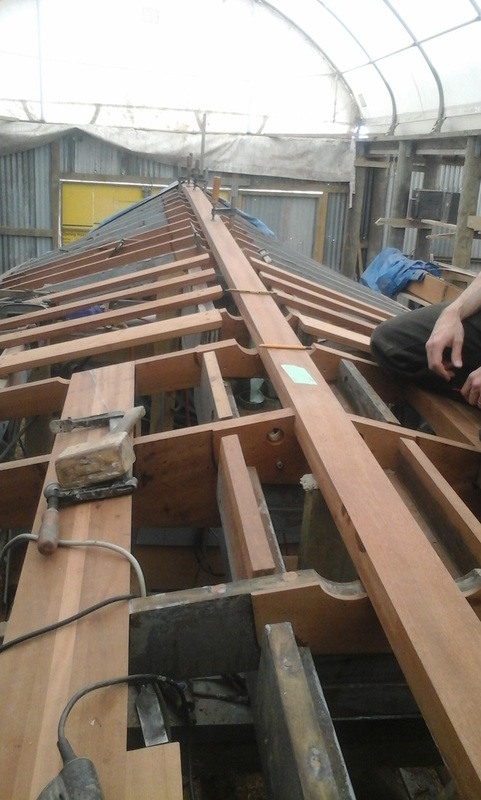 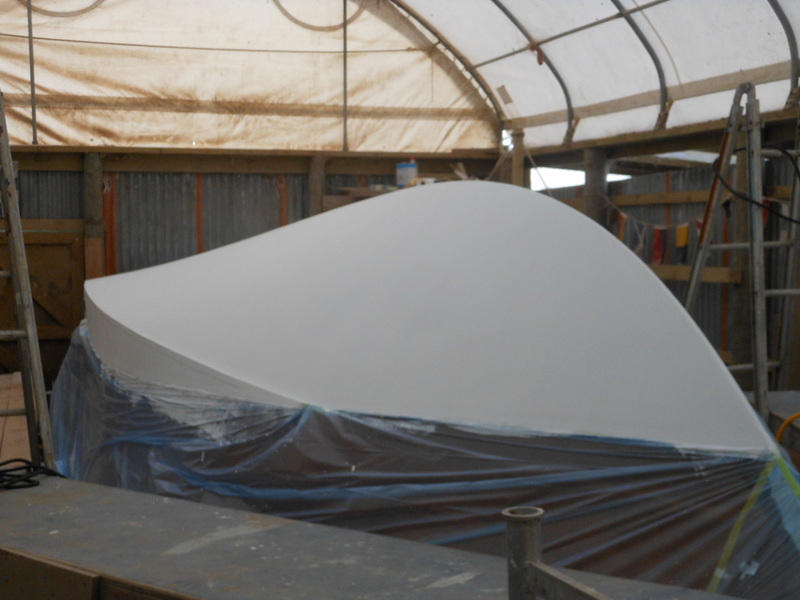 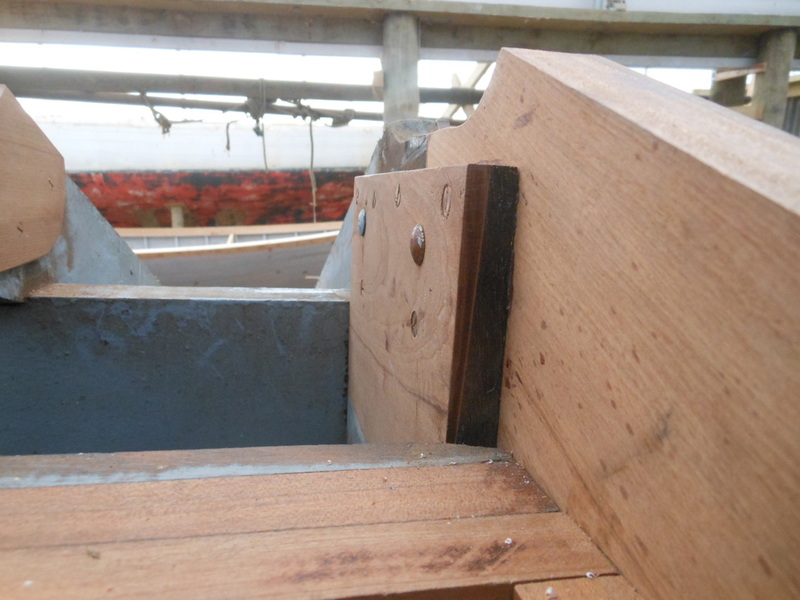 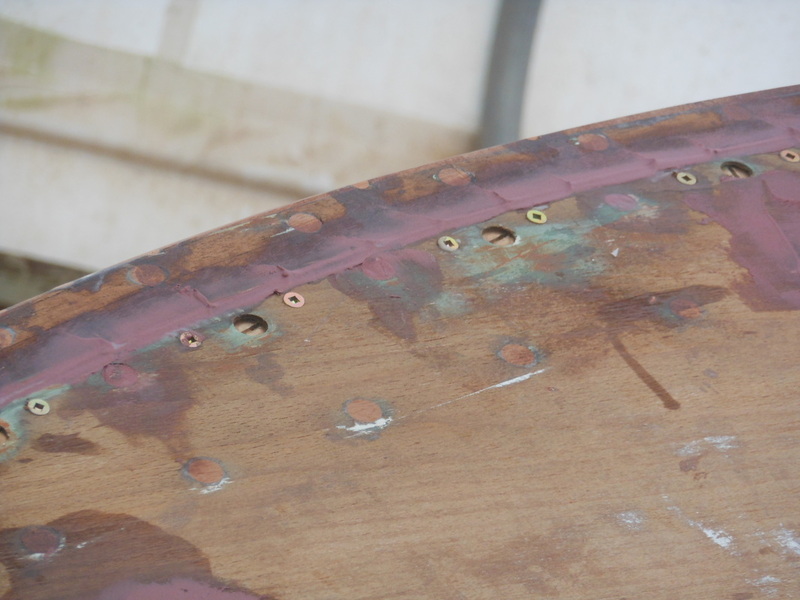 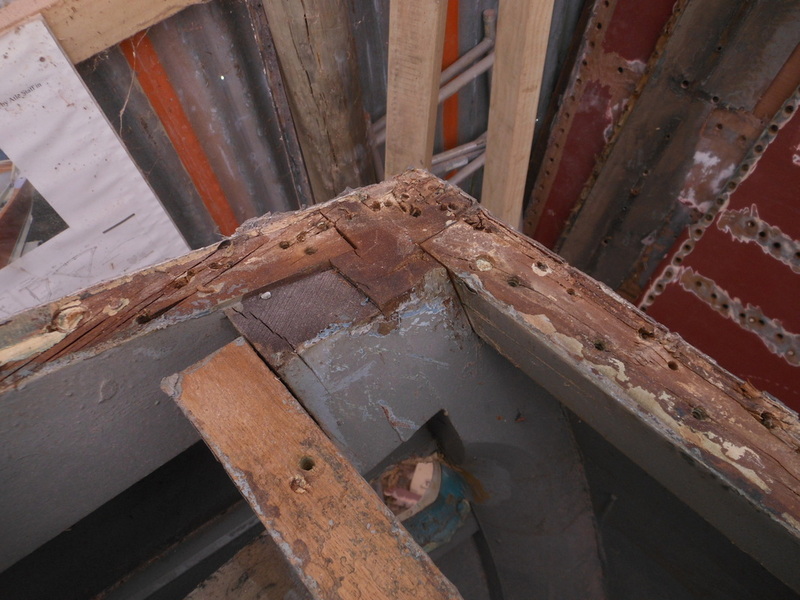 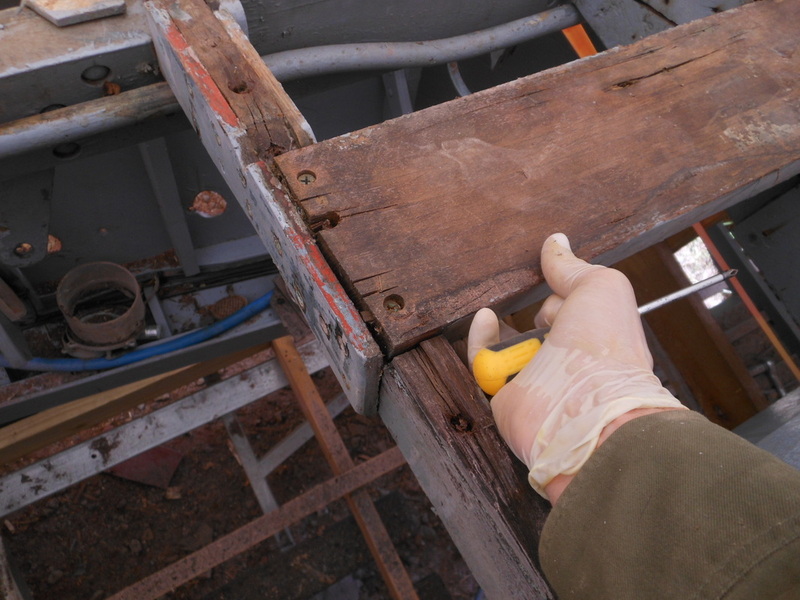 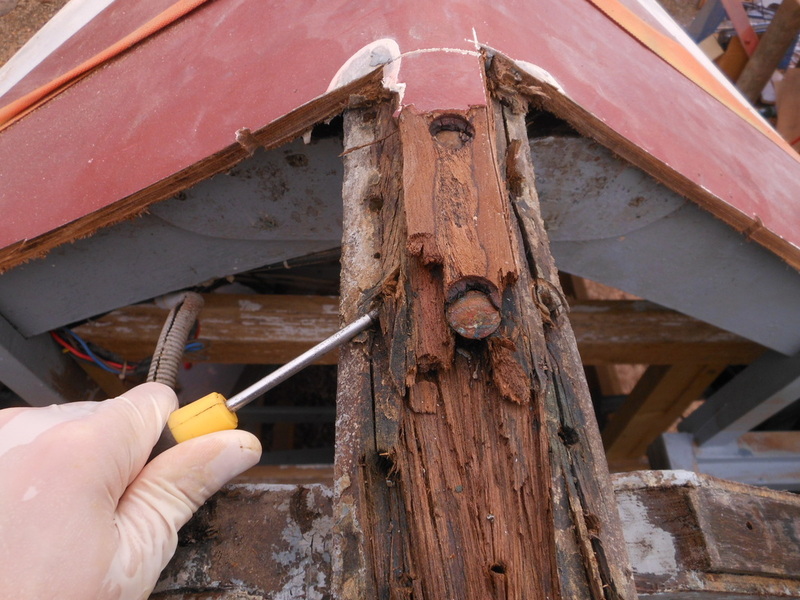 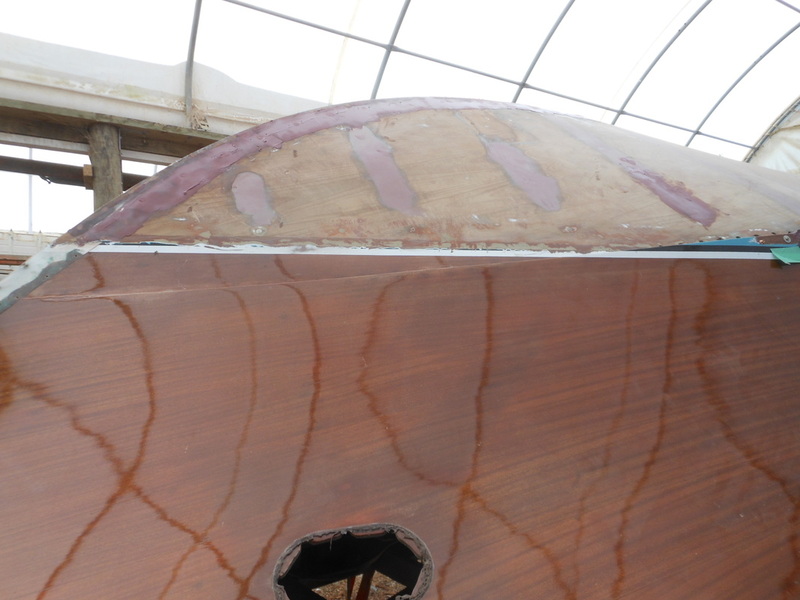 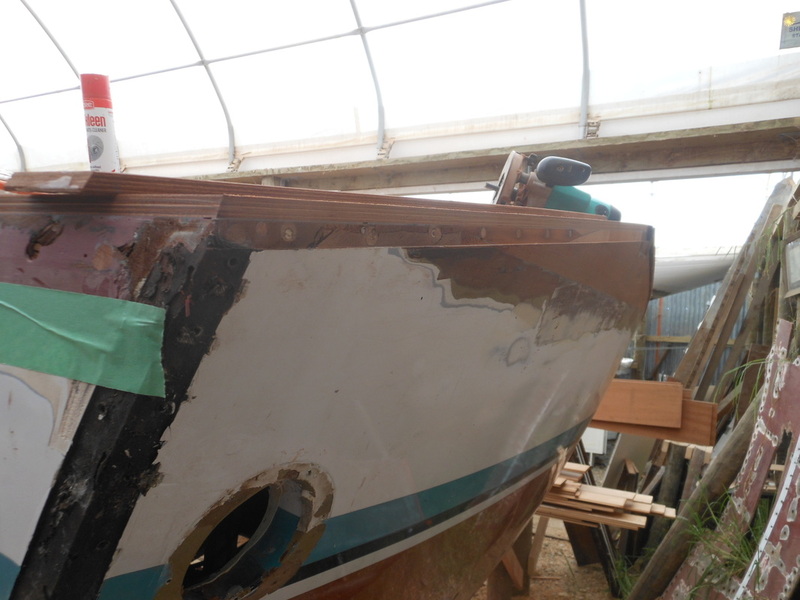 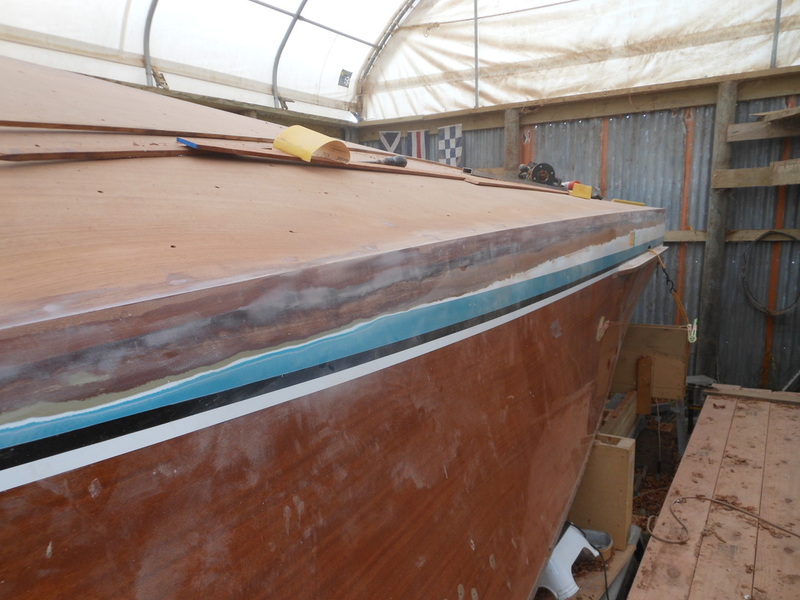 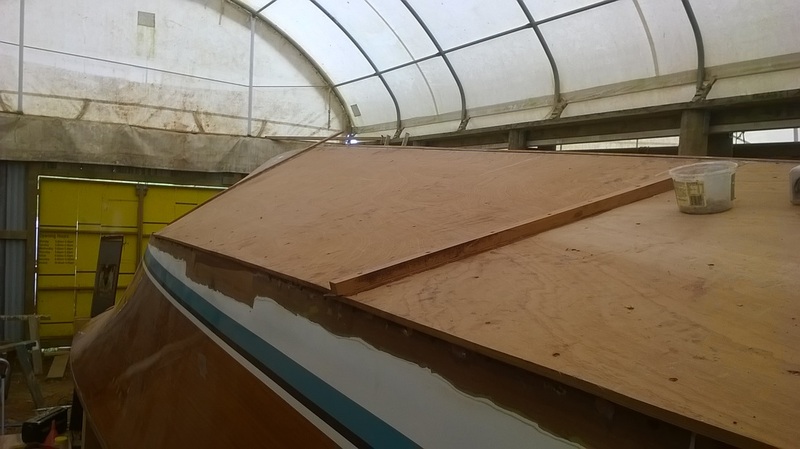 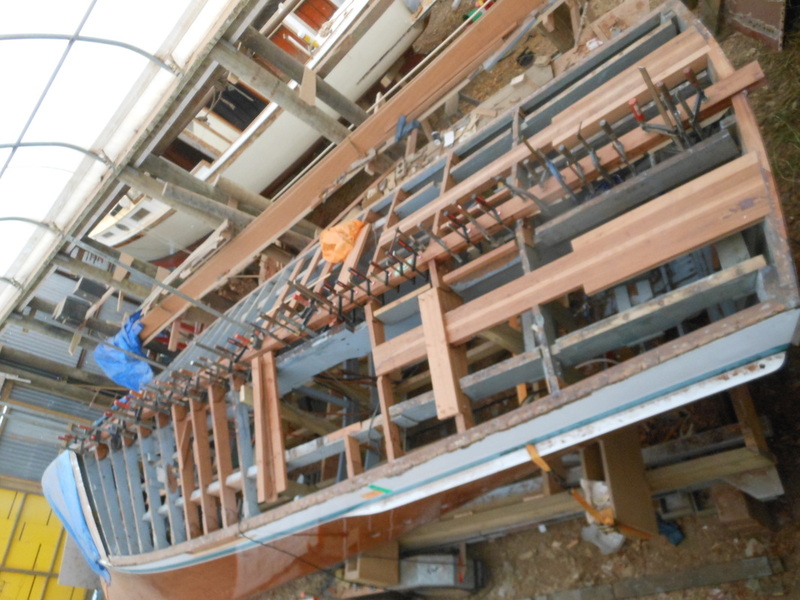 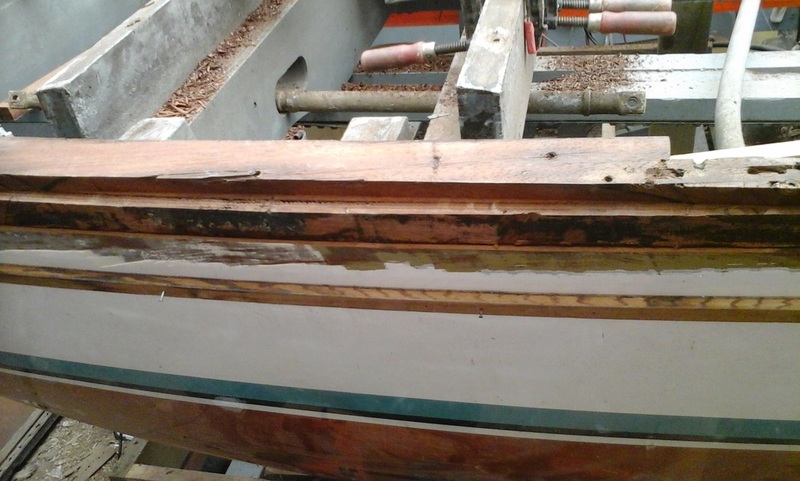 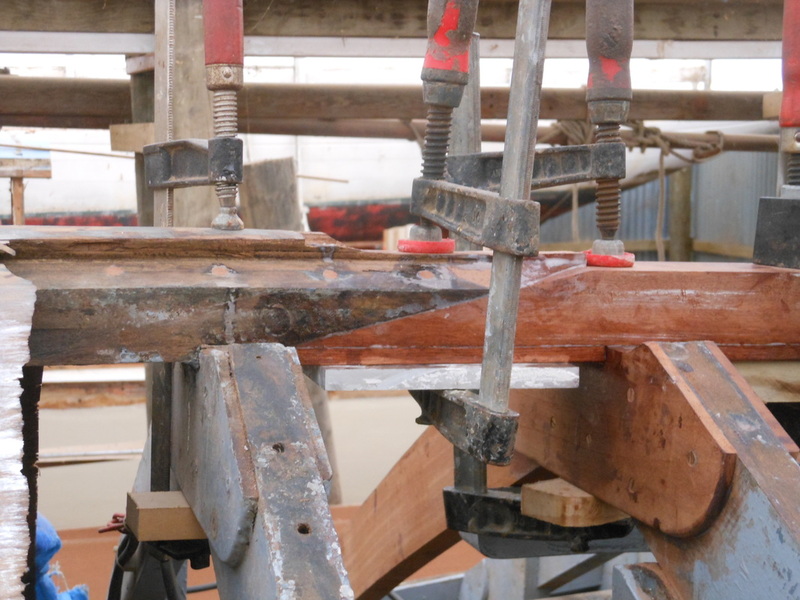 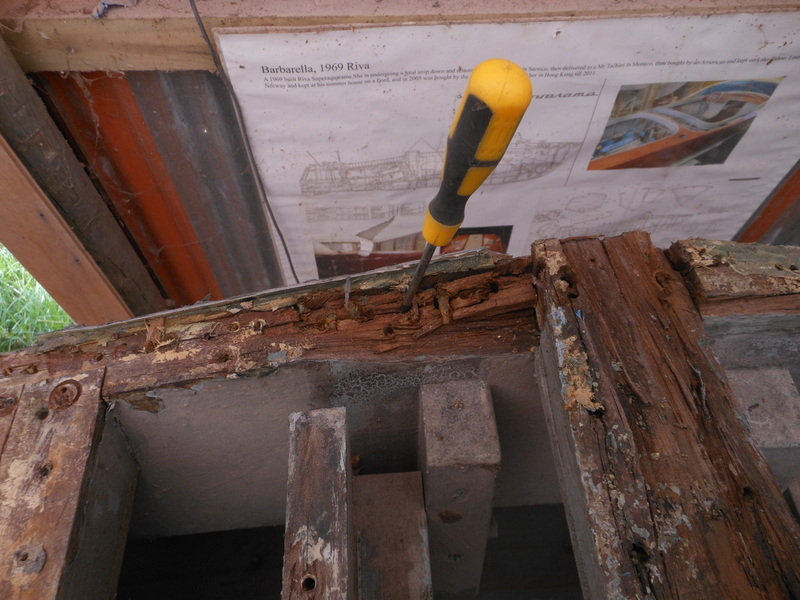 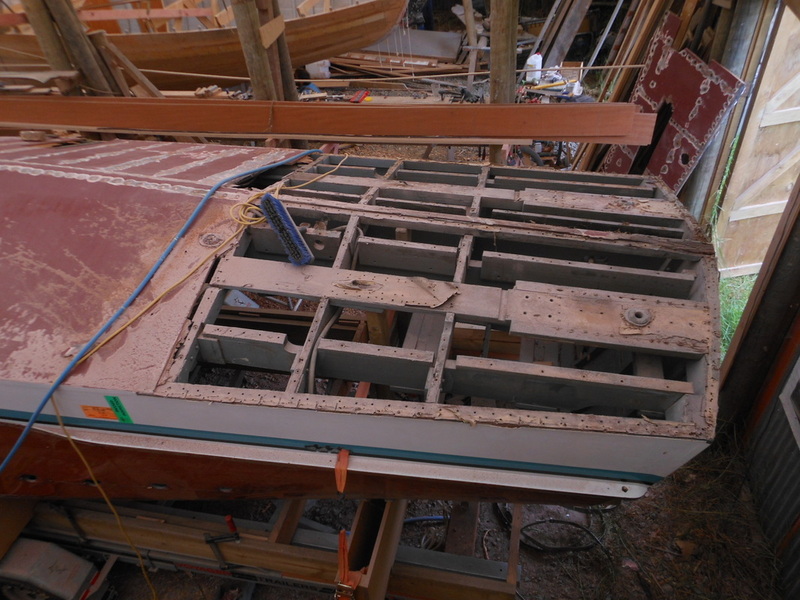 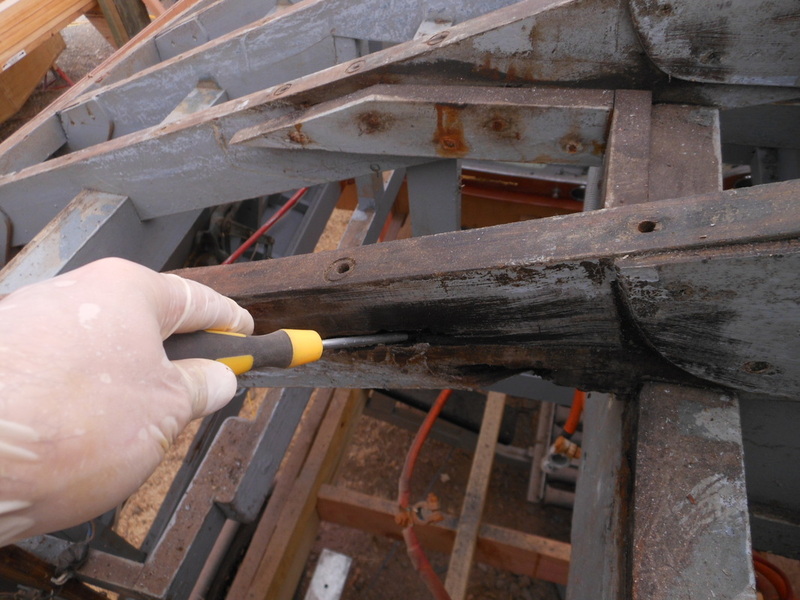 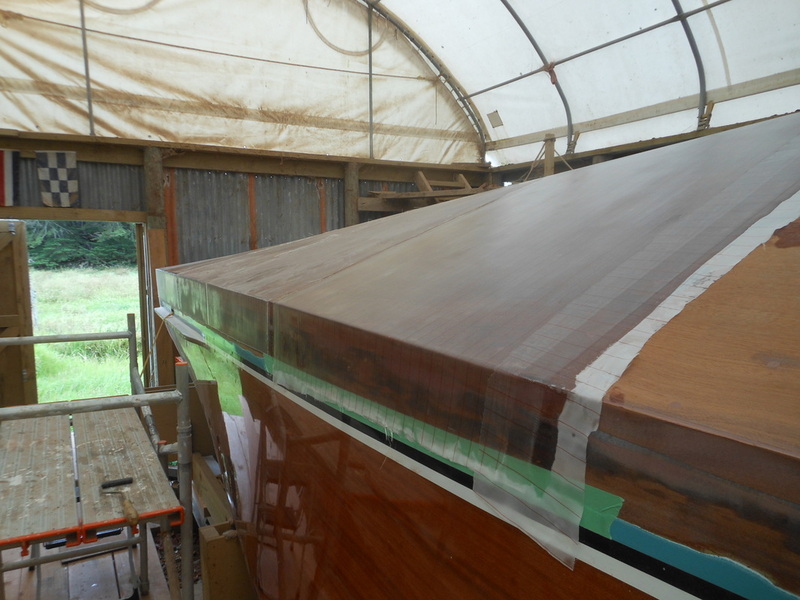 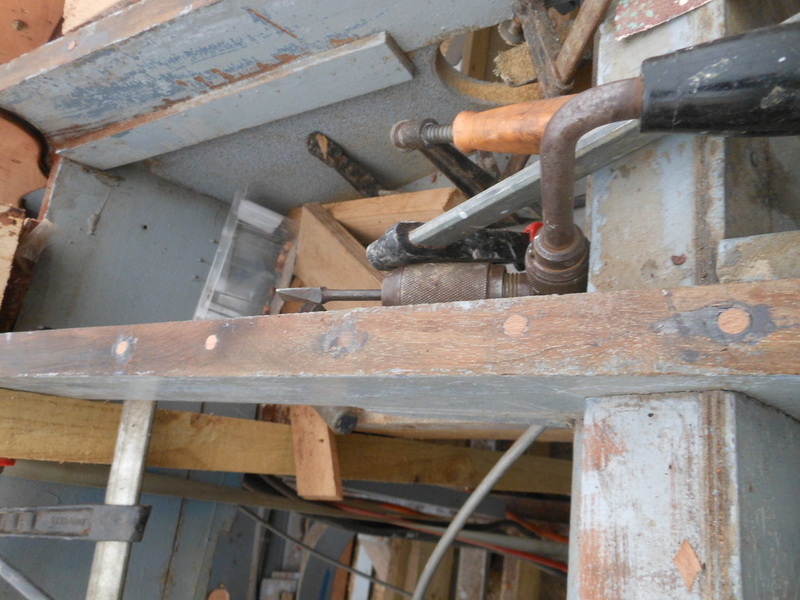 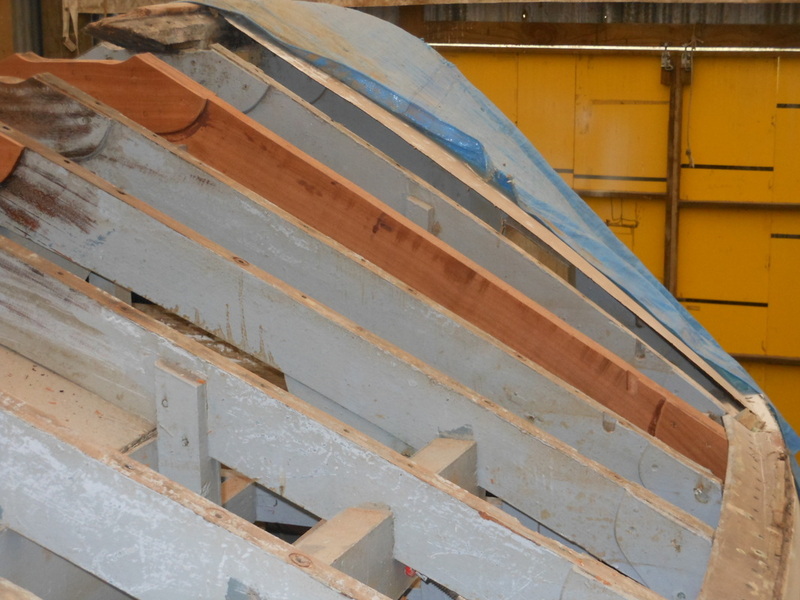 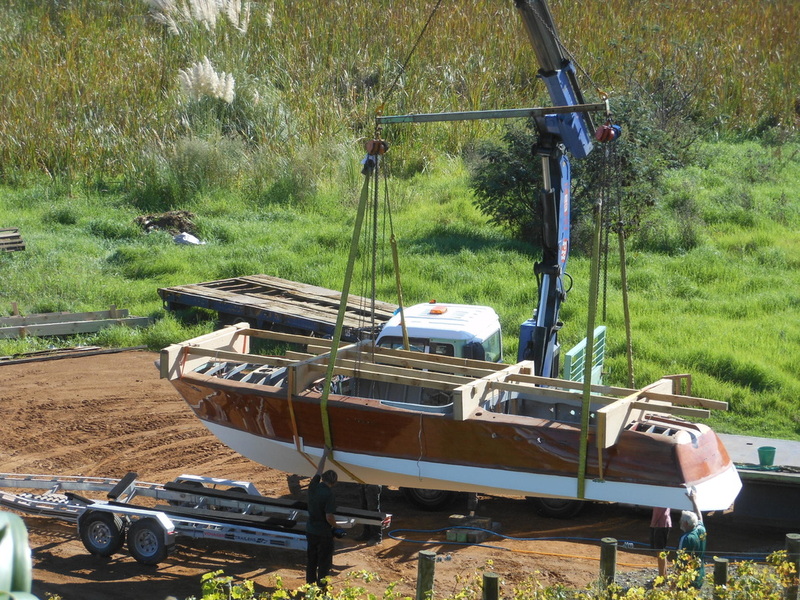 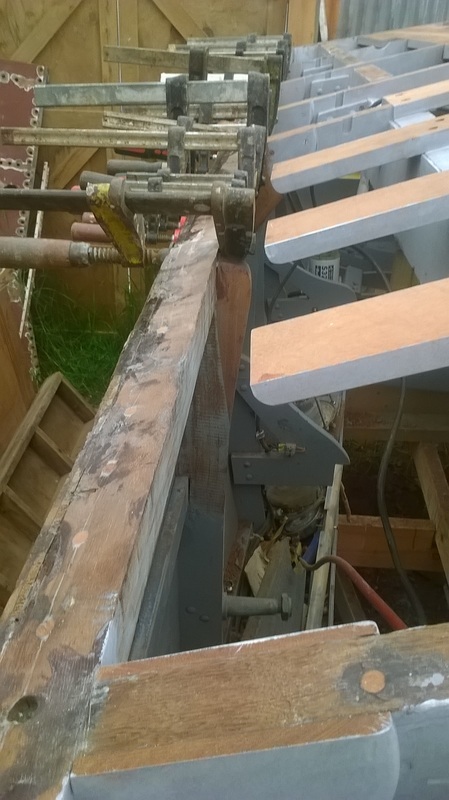 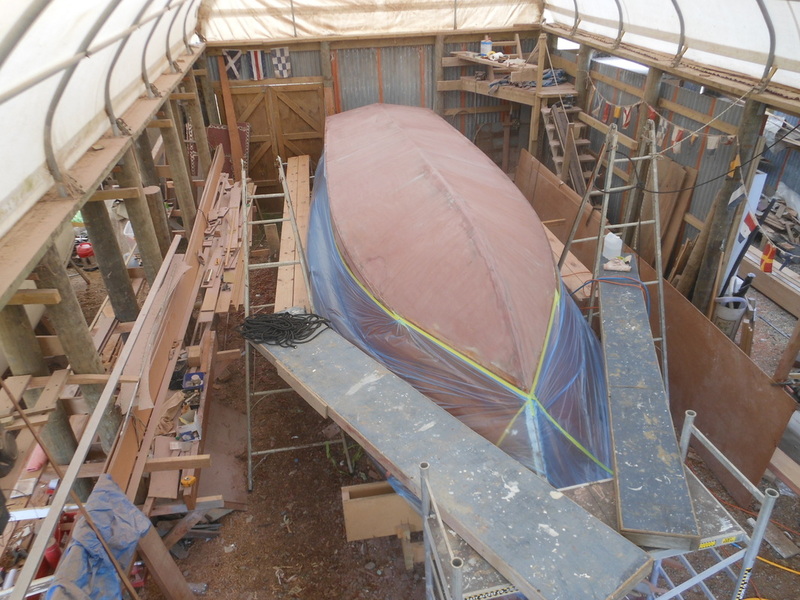 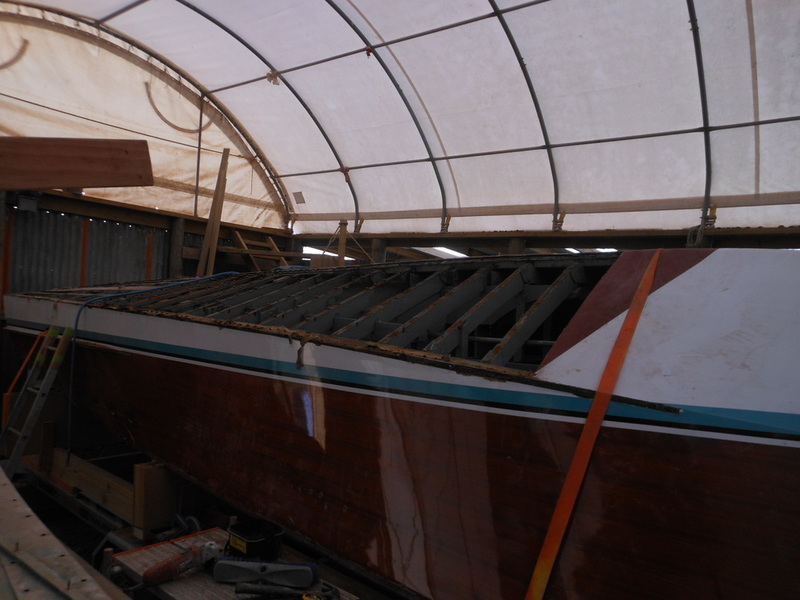 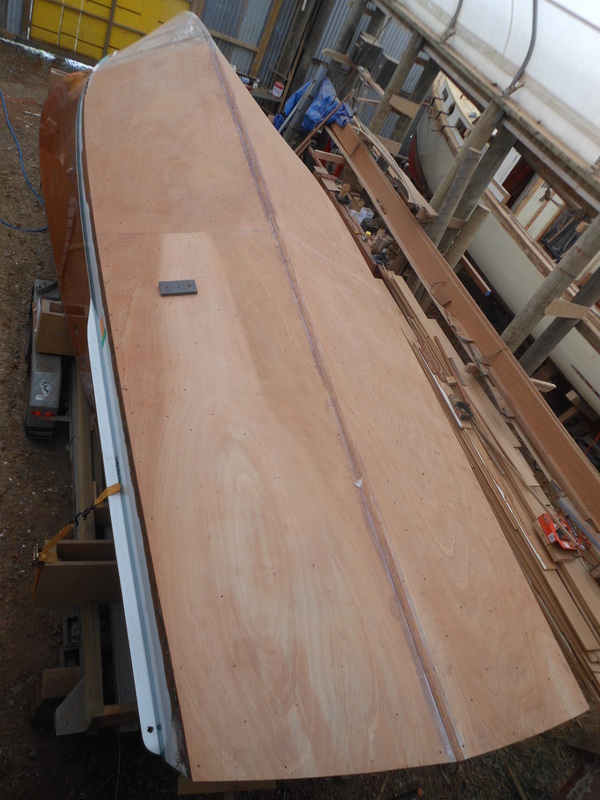 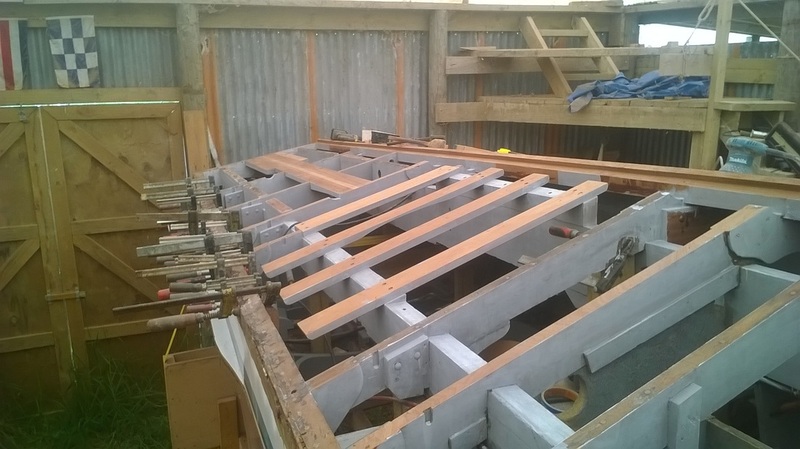 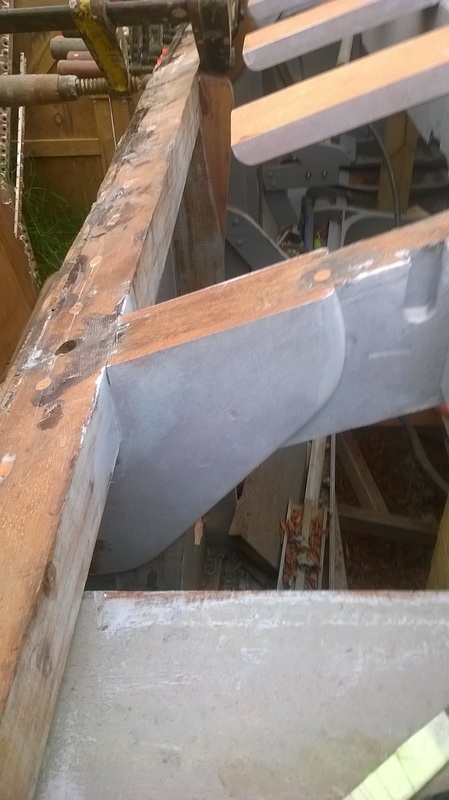 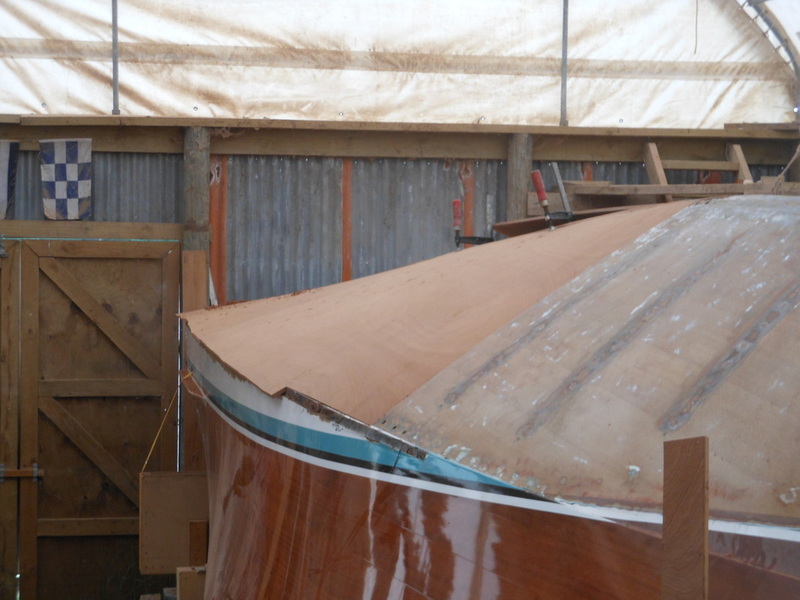 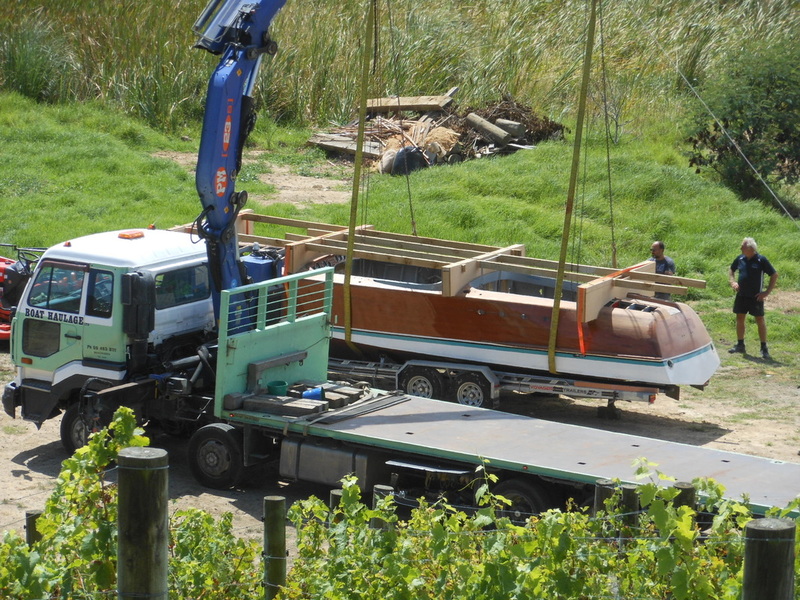 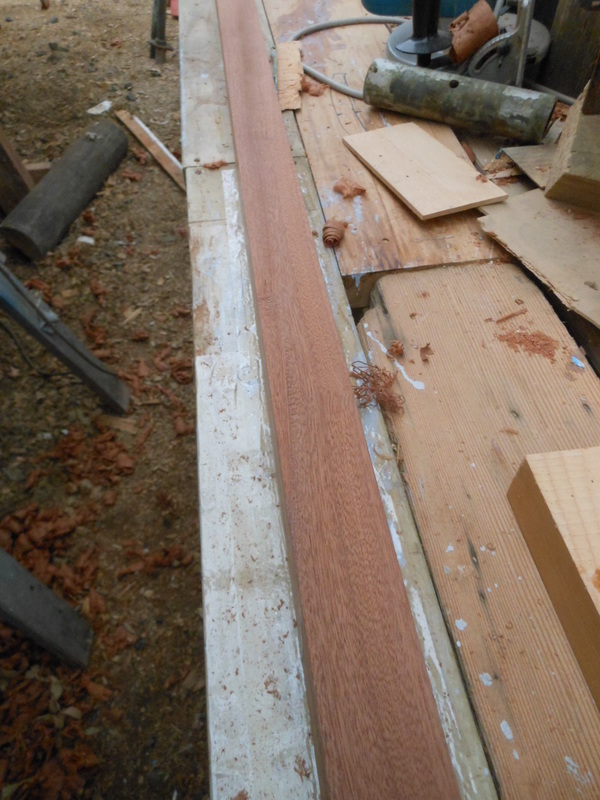 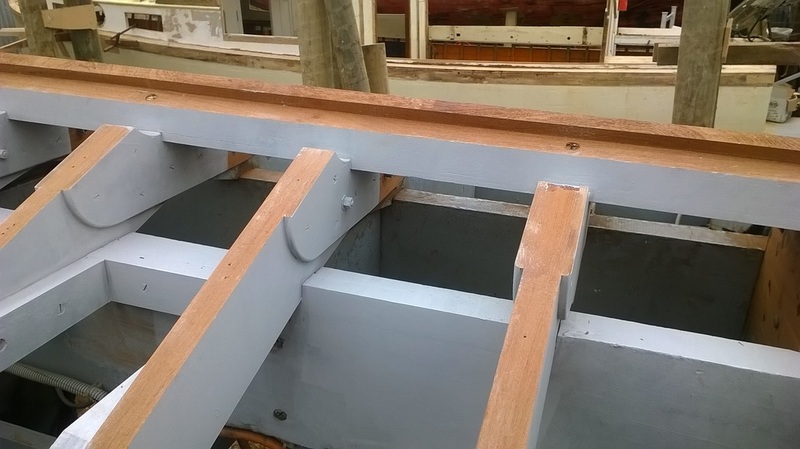 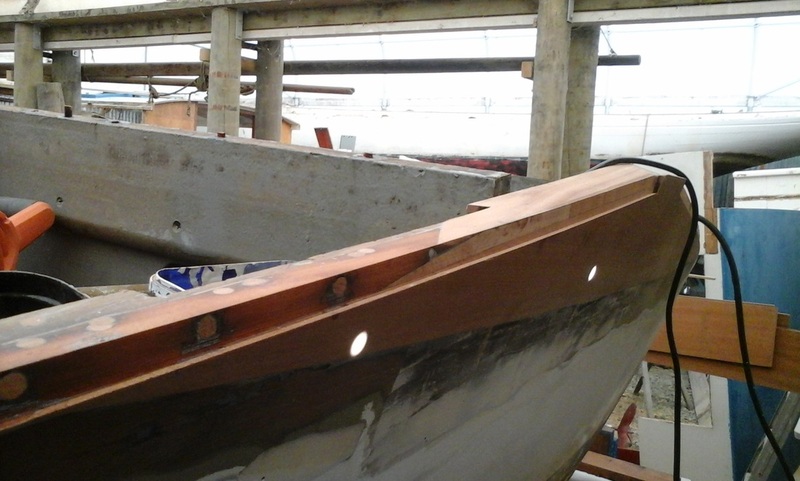 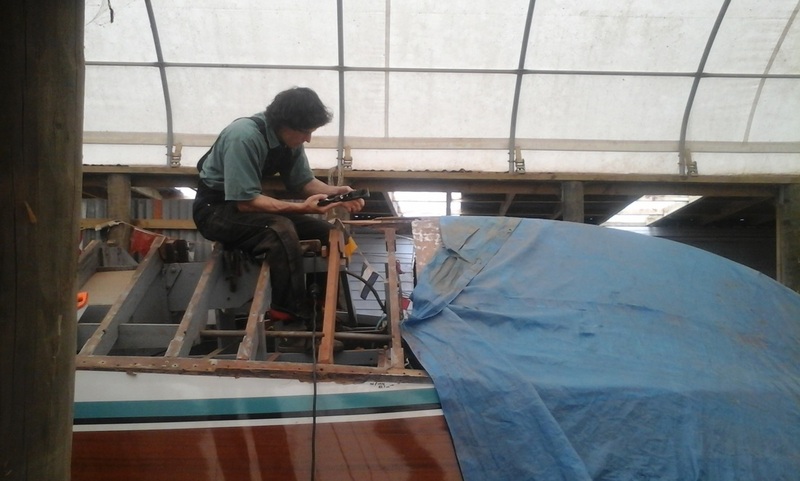 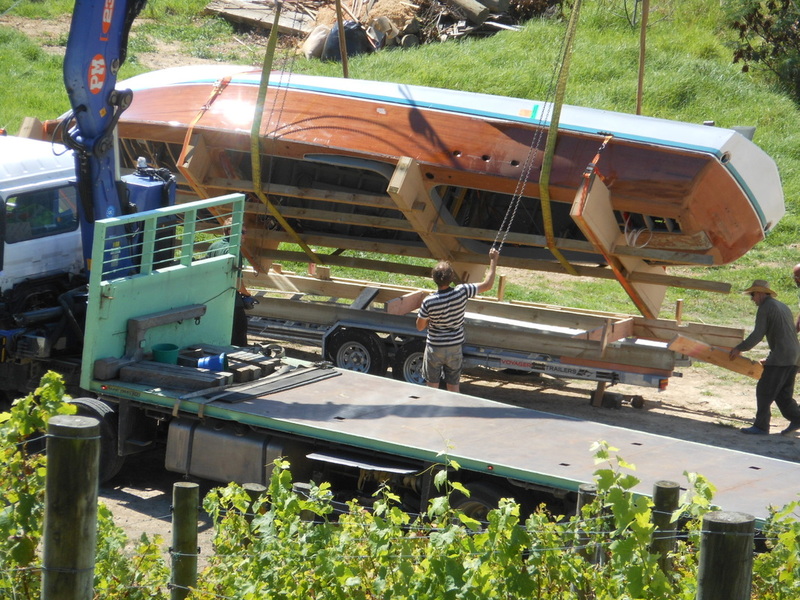 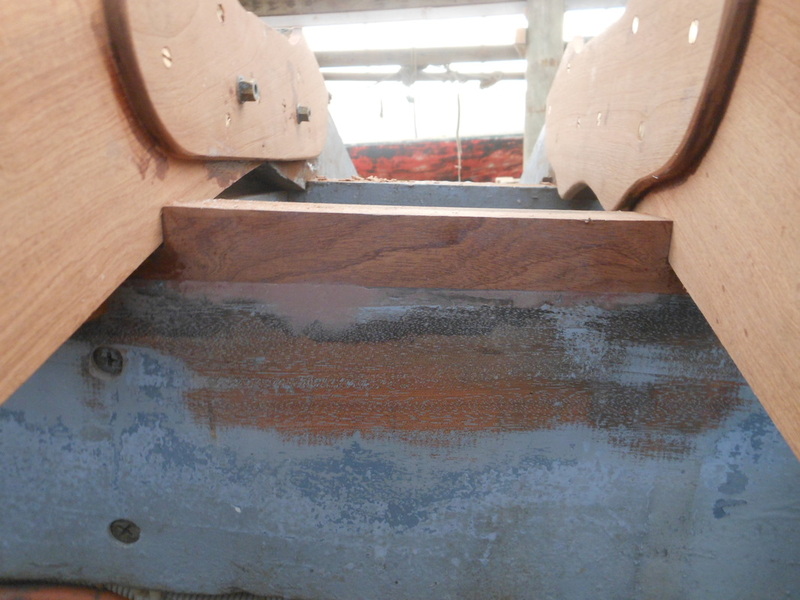 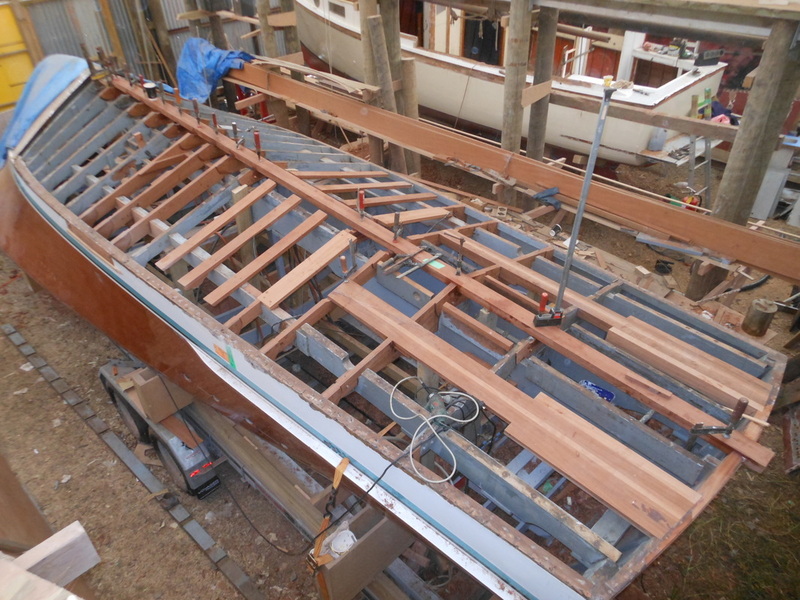 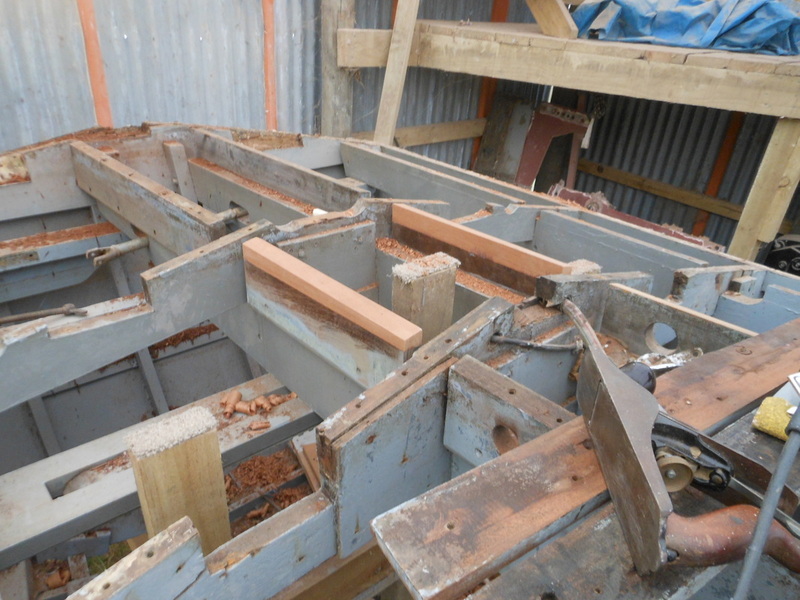 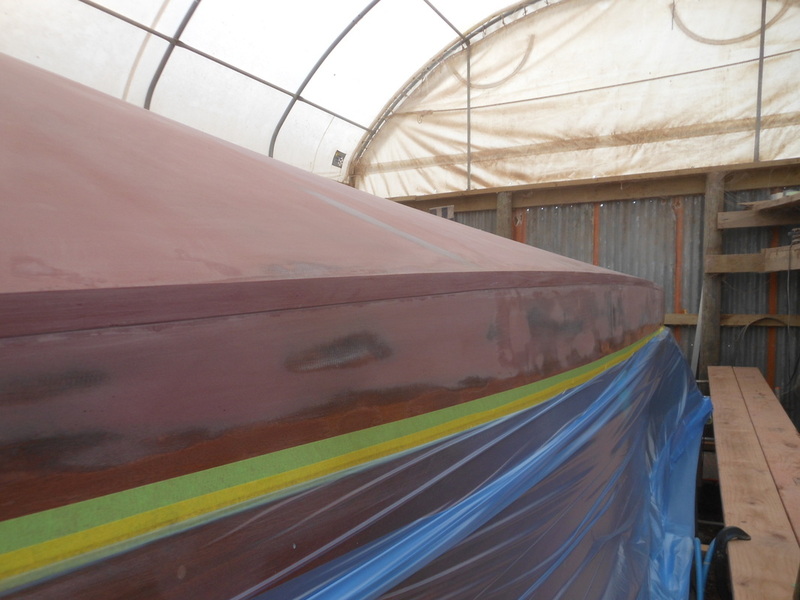 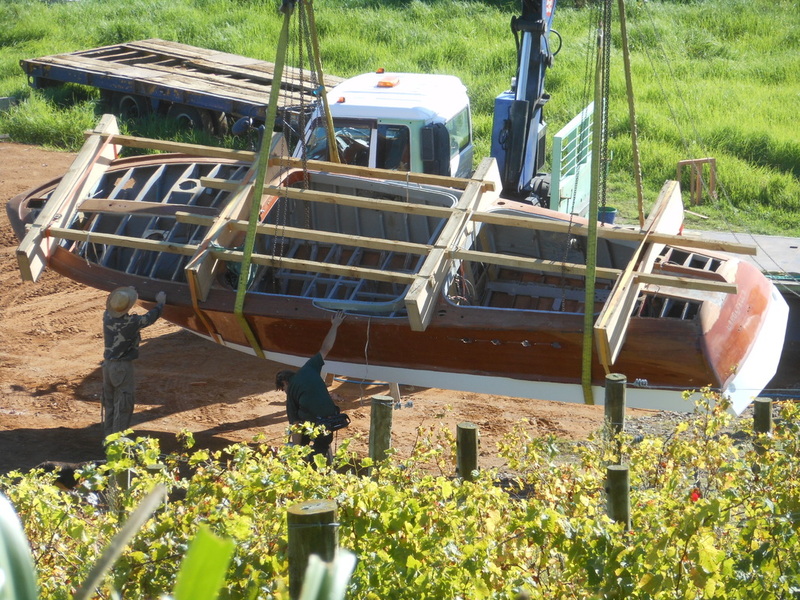 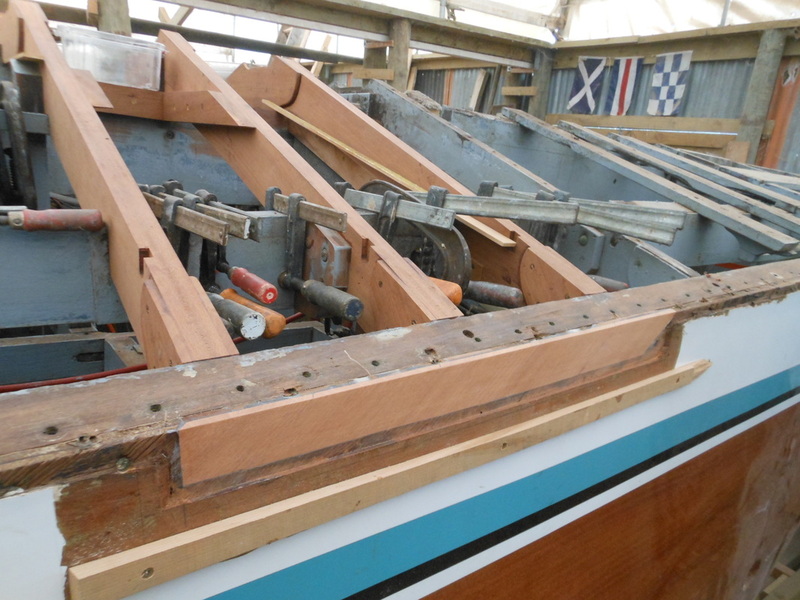 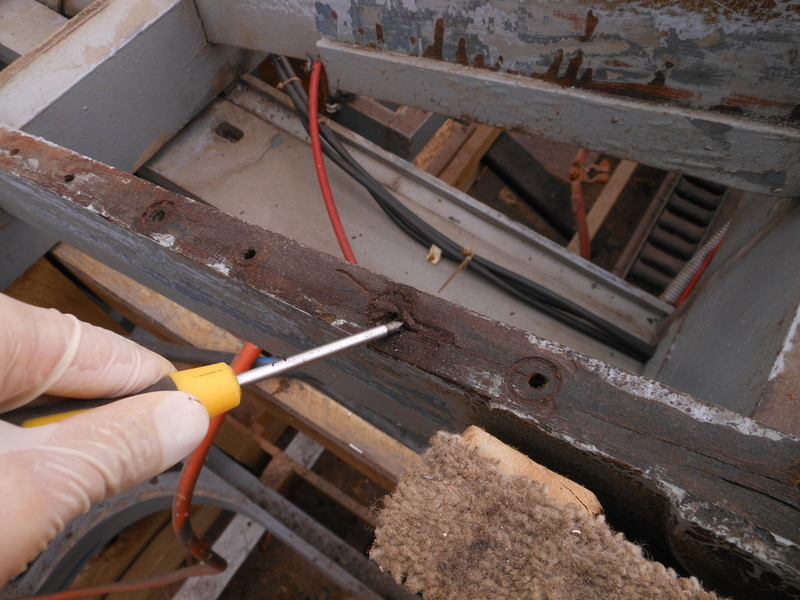 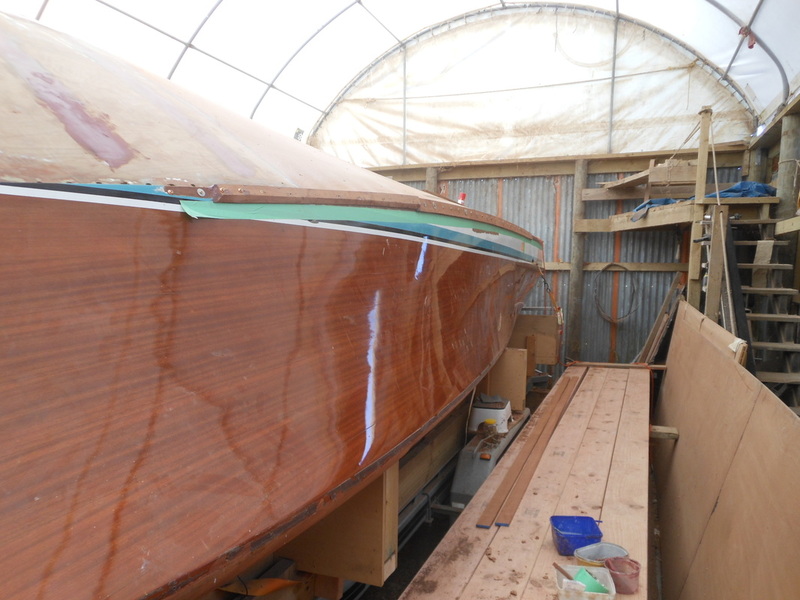 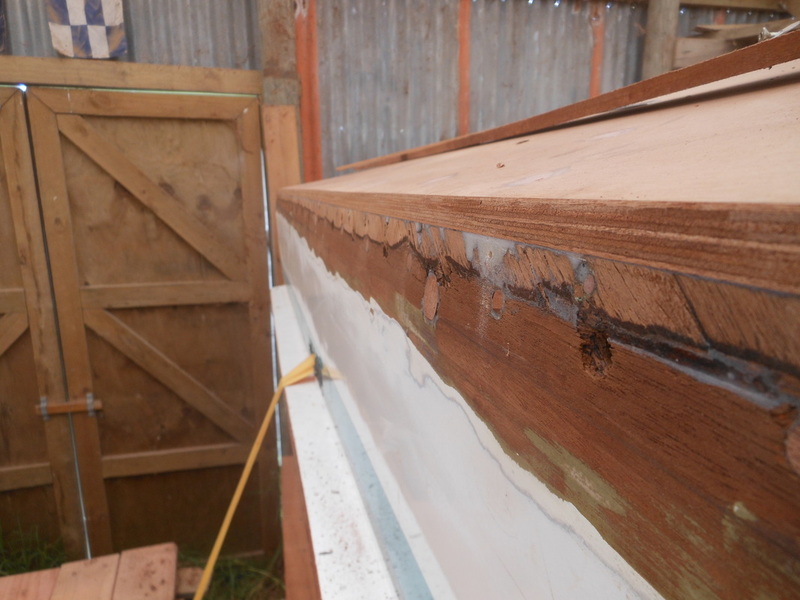 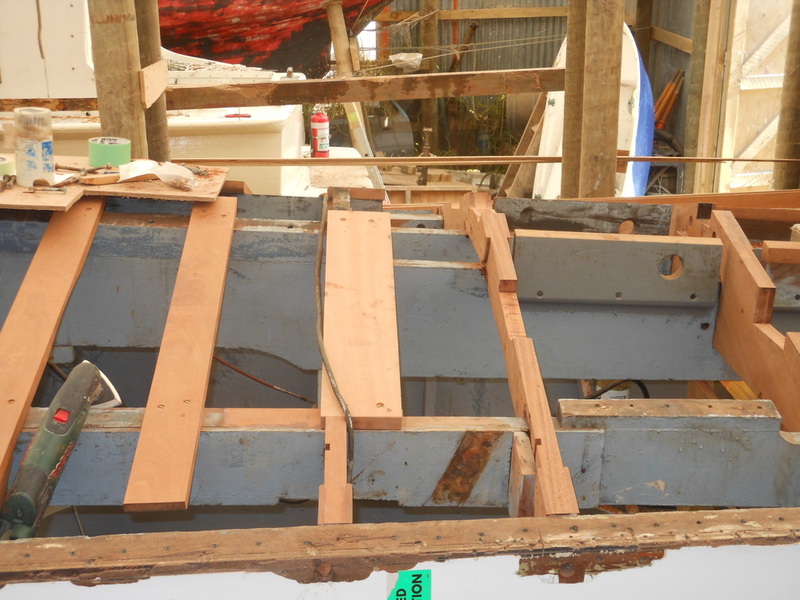 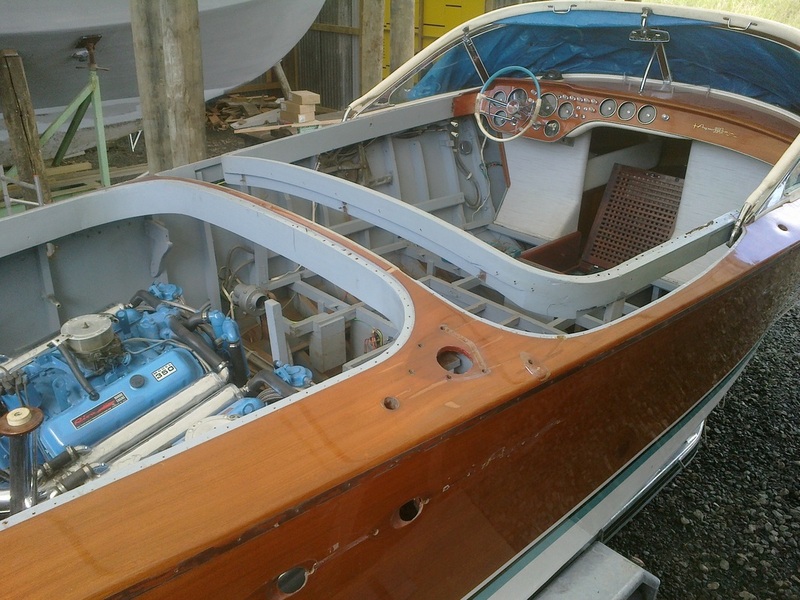 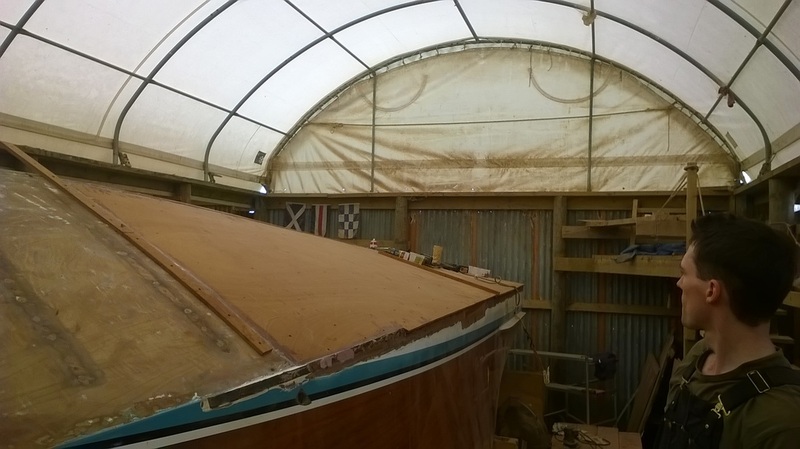 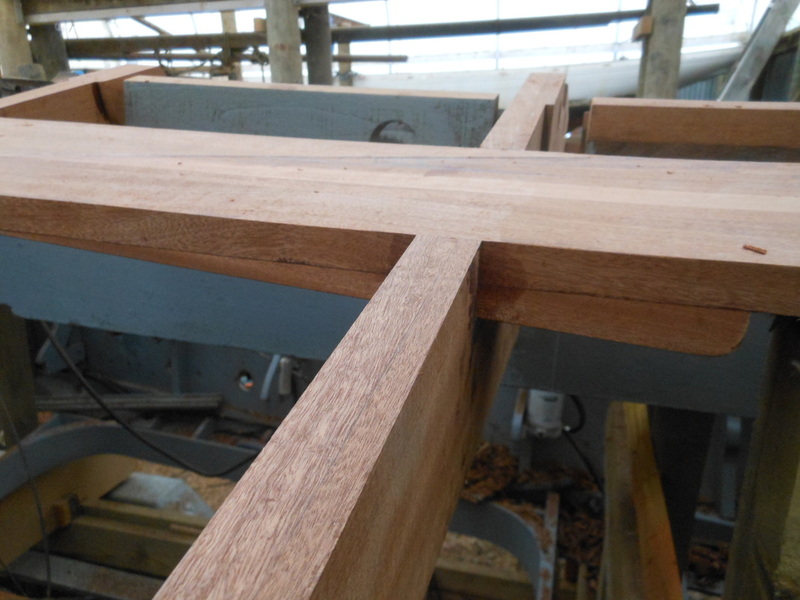 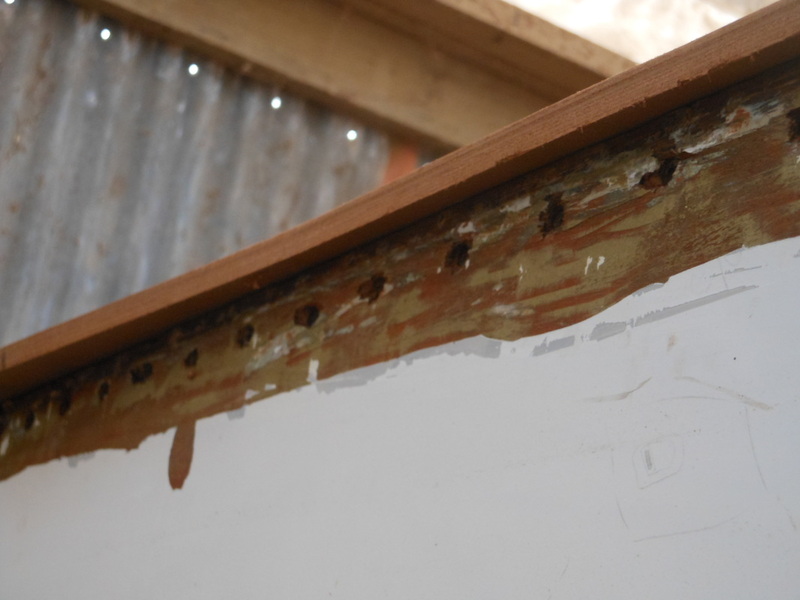 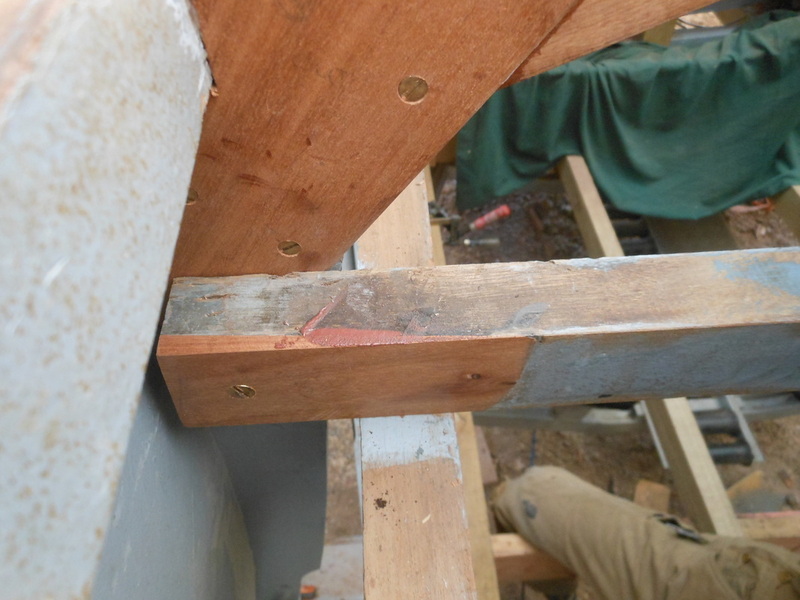 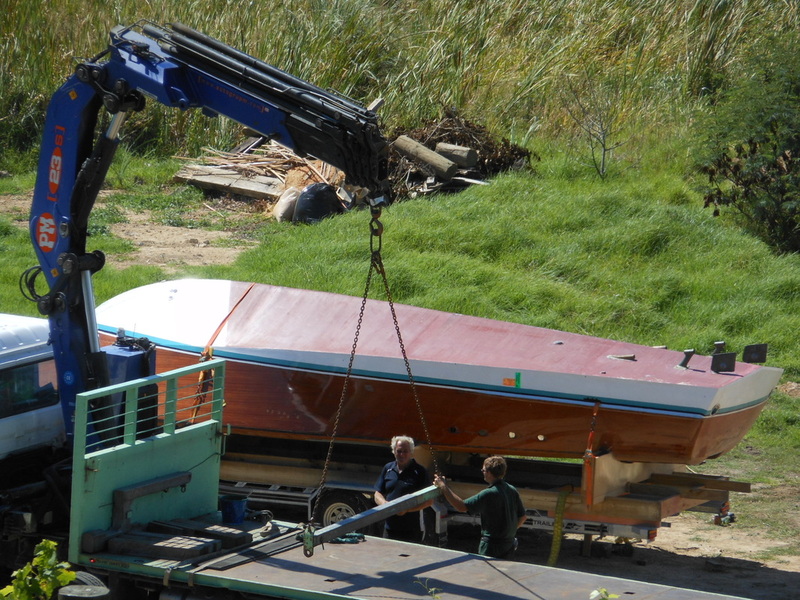 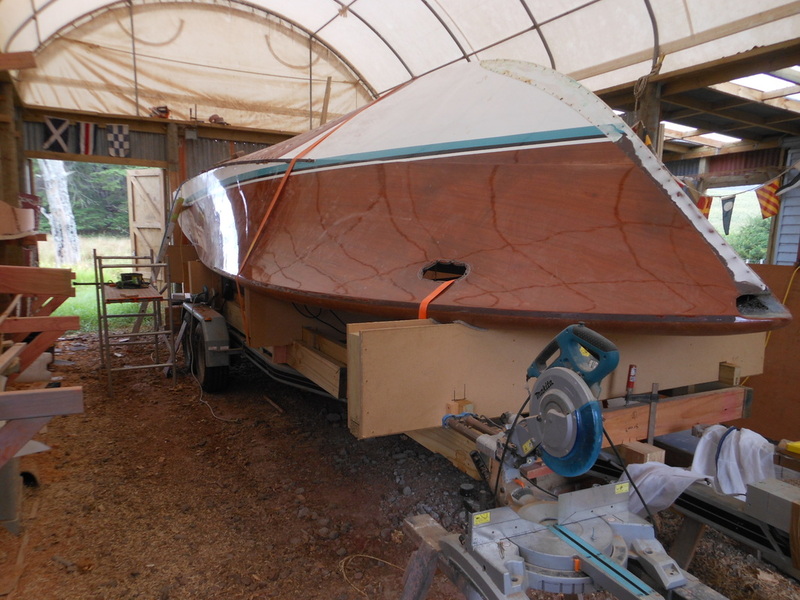 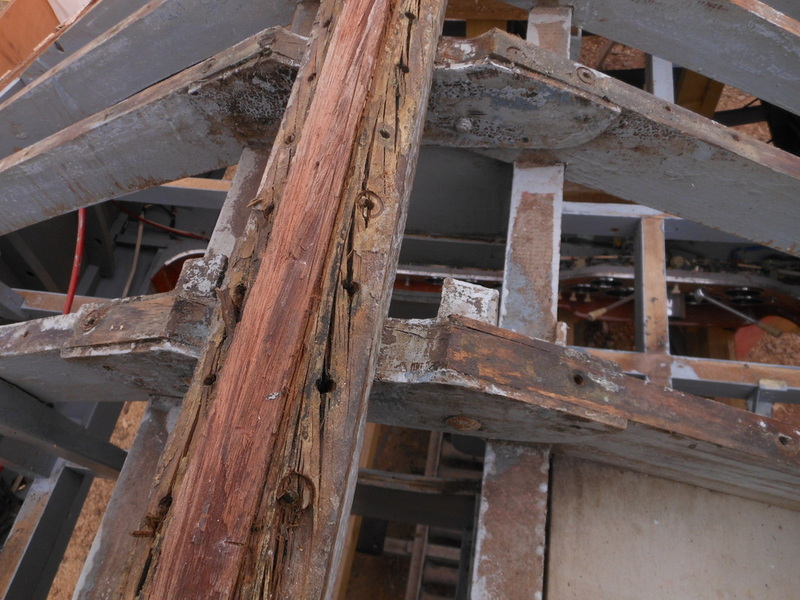 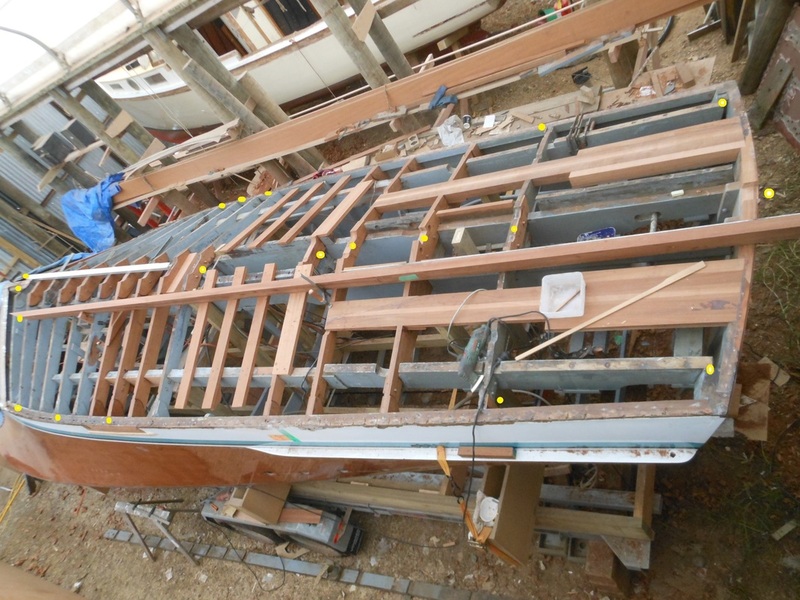 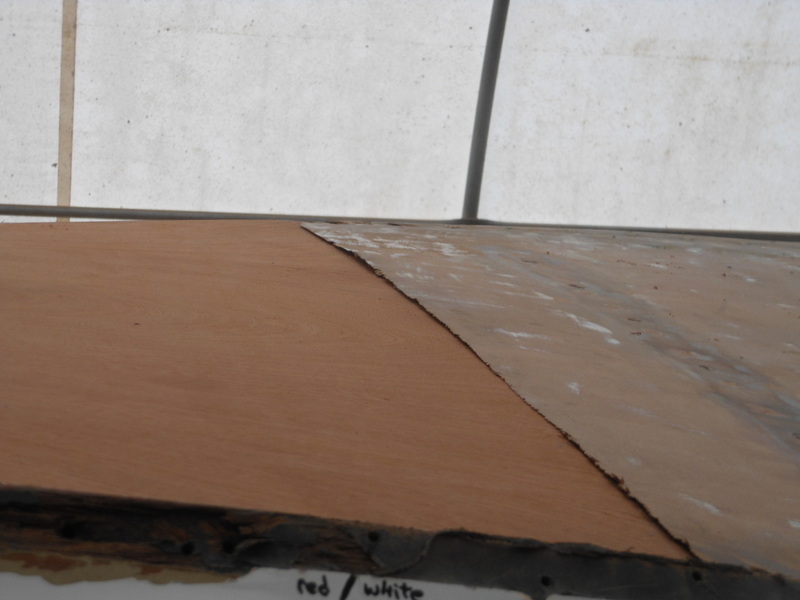 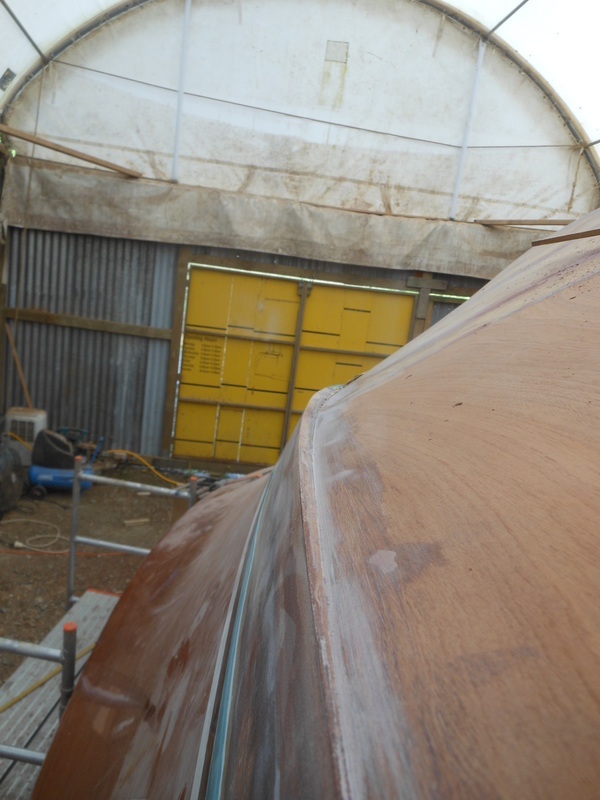 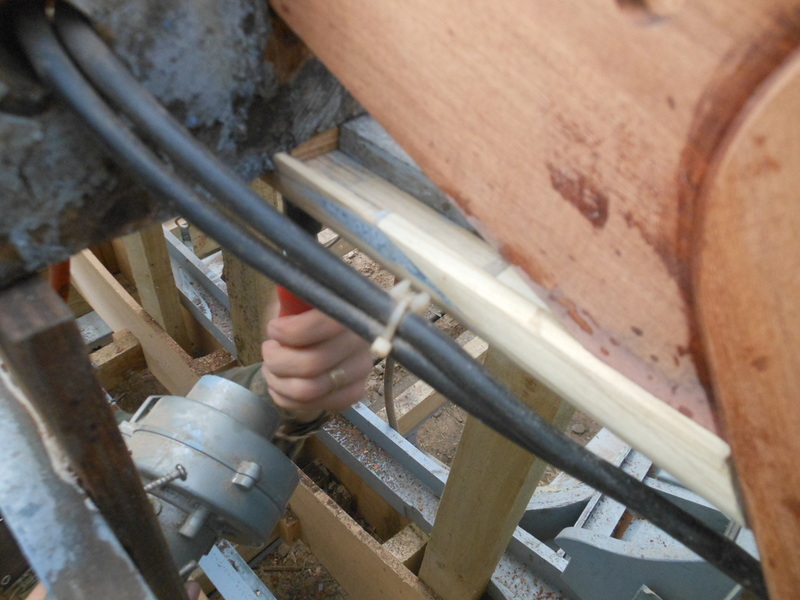 Following photos: keel, second keel laminate glued in situ and keelson. 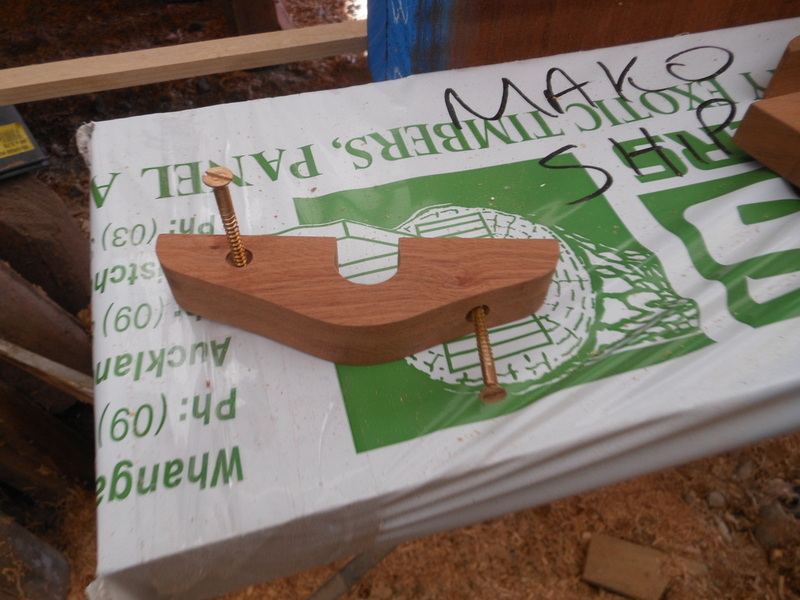 Also rabbet being rebated with a homemade router jig that follows the varying frame angles. 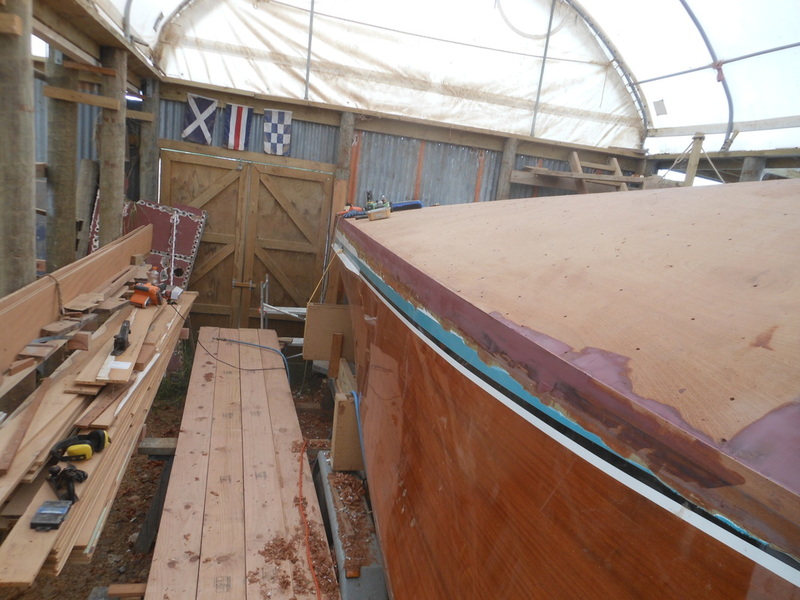 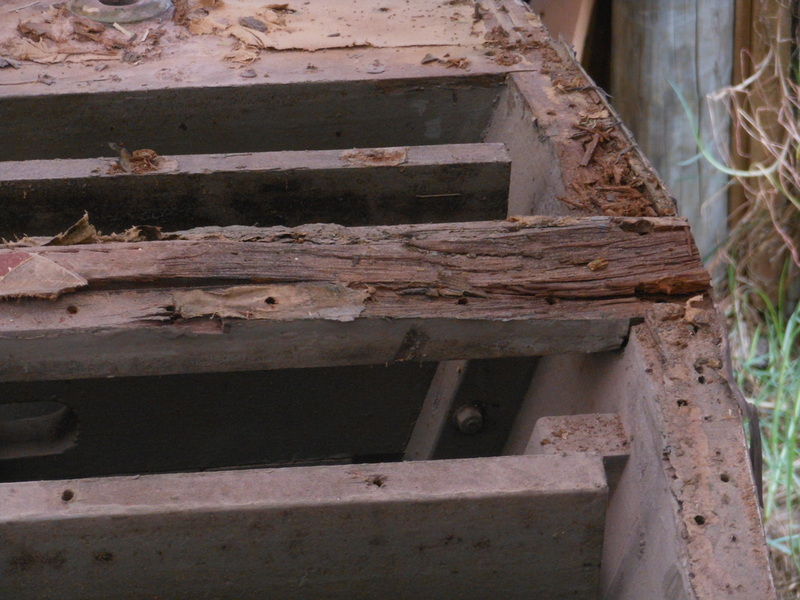 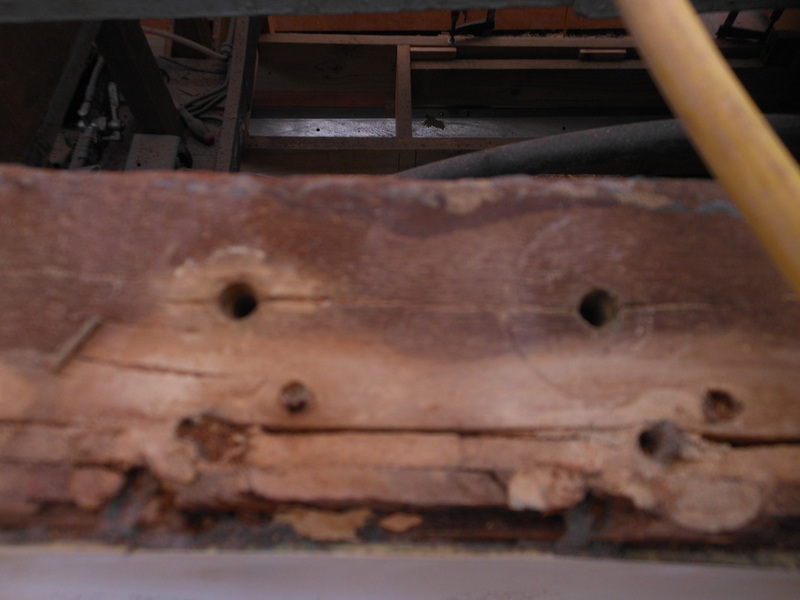 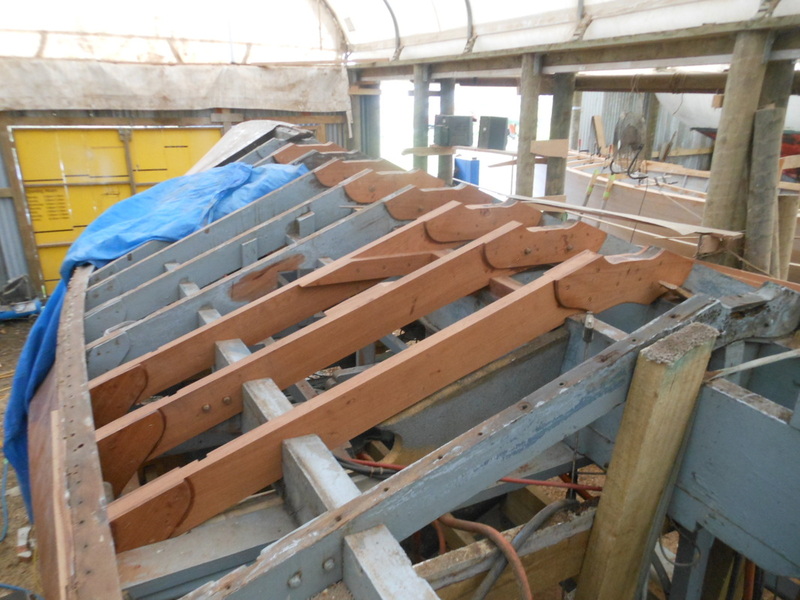 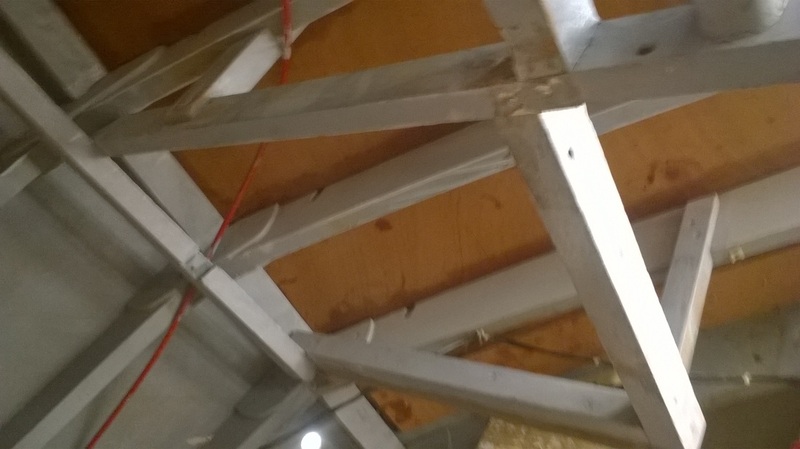 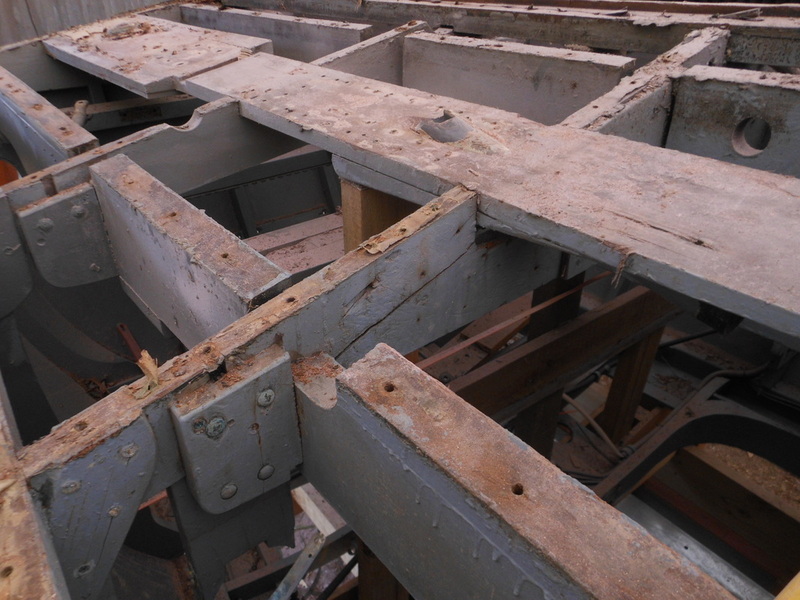 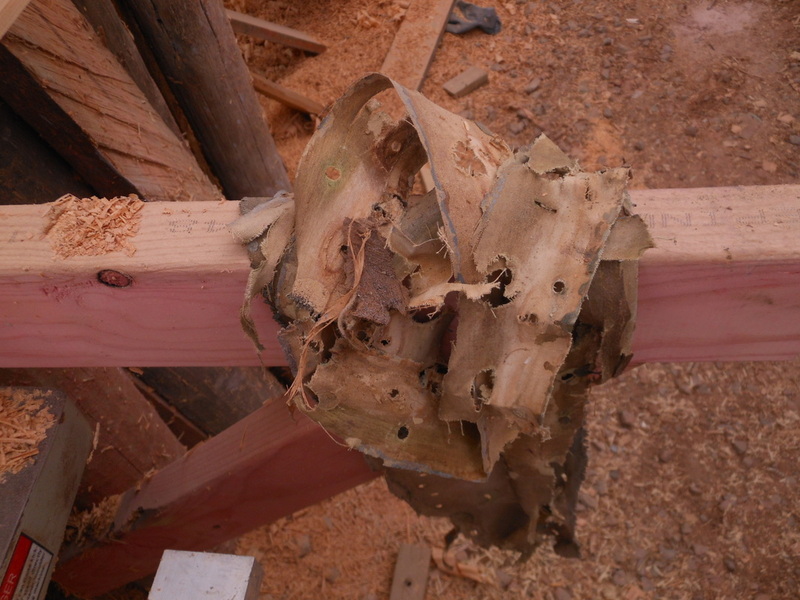 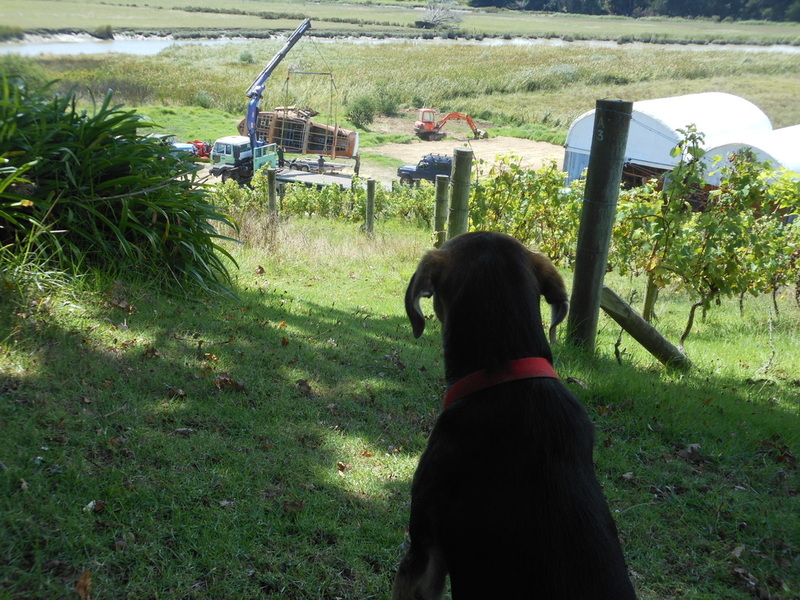 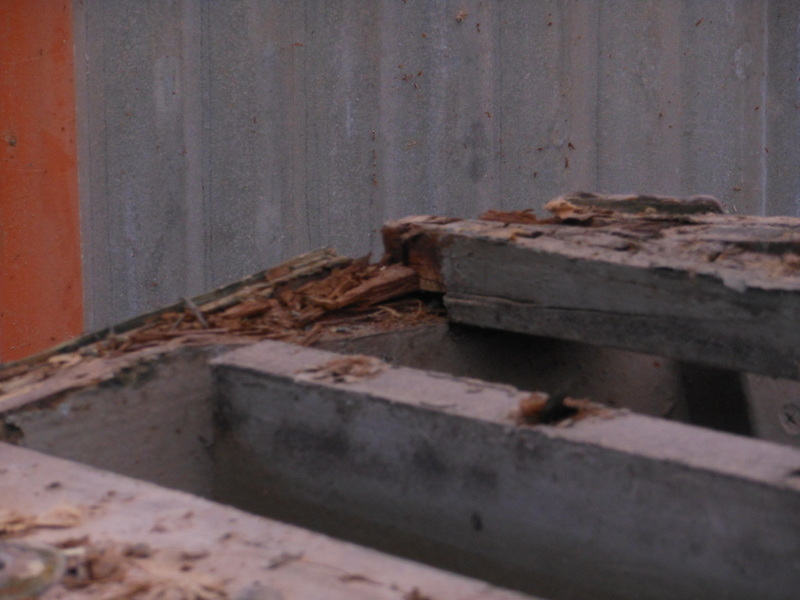 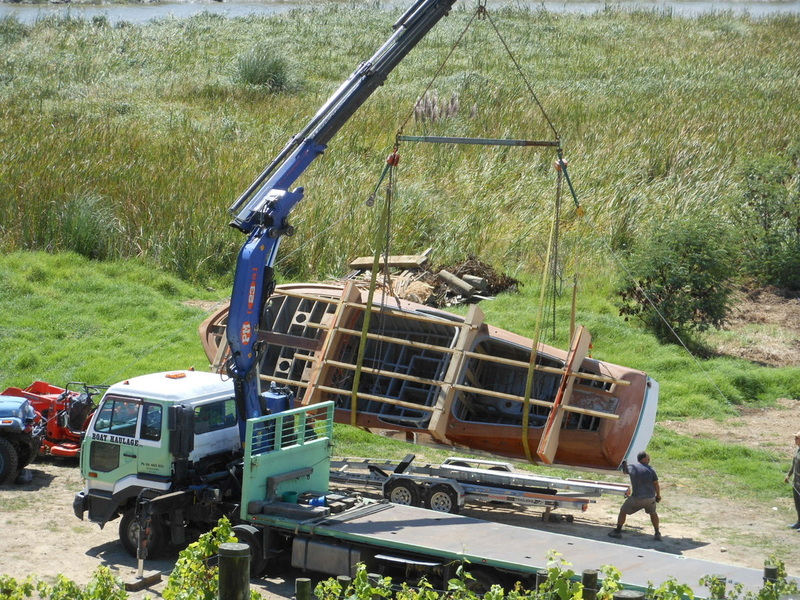 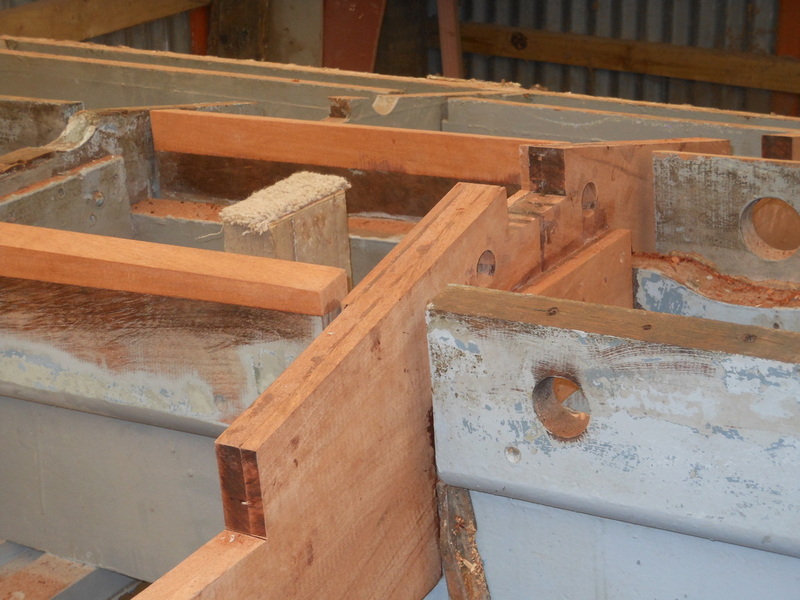 Not shown, frames faired with battens, and the use of a large dose of patience! 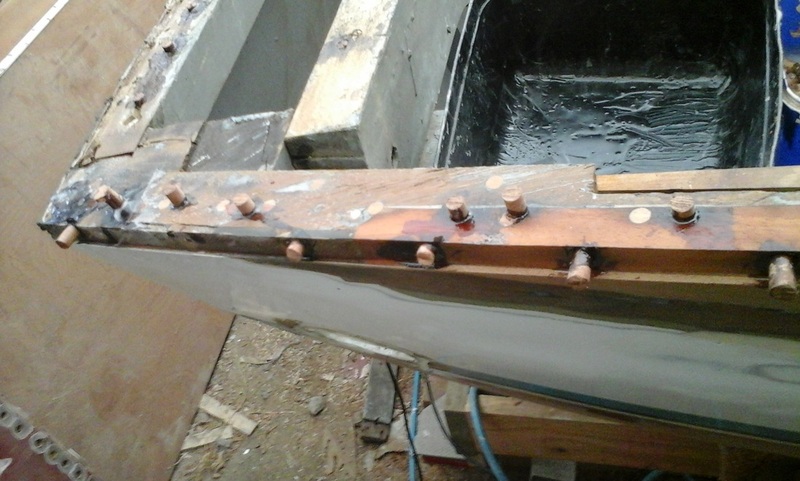 Aft sheet above to be moved further aft 1.5 mm to be happy.